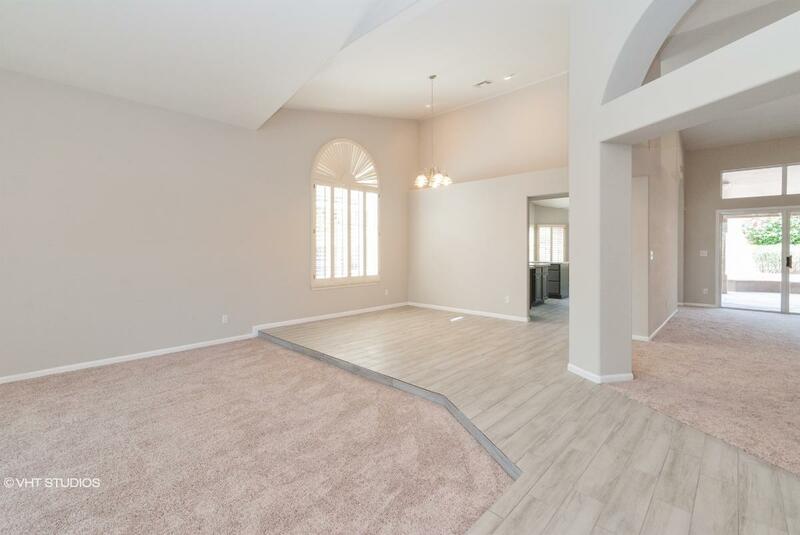 181032693238X SOLD Get Free Account to View Gilbert AZ 1/22/2016 $822,142 View Details! 184060392705N SOLD Get Free Account to View Sun City AZ 1/15/2016 $323,150 View Details! 19465894396X SOLD Get Free Account to View Tucson AZ 1/10/2016 $436,708 View Details! 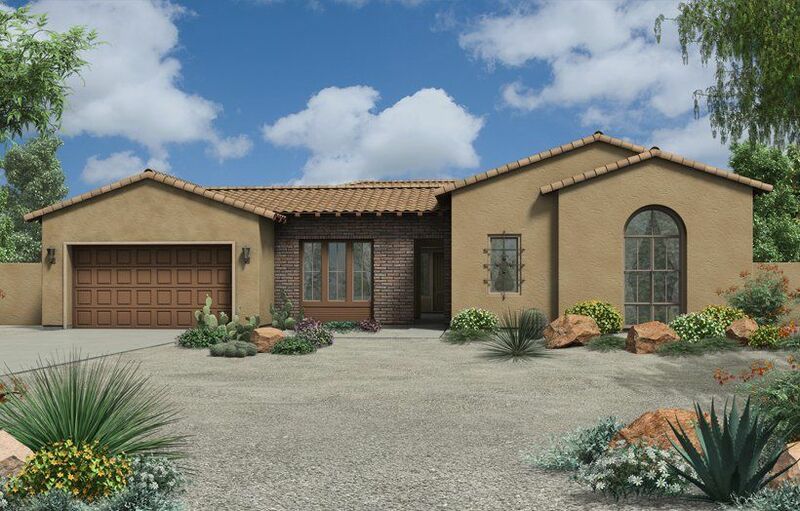 18467094586N SOLD Get Free Account to View Rio Verde AZ 12/4/2015 $719,990 View Details! 181032693238N SOLD Get Free Account to View Gilbert AZ 1/29/2016 $799,900 View Details! 19465894968N SOLD Get Free Account to View Tucson AZ 2/21/2016 $223,400 View Details! 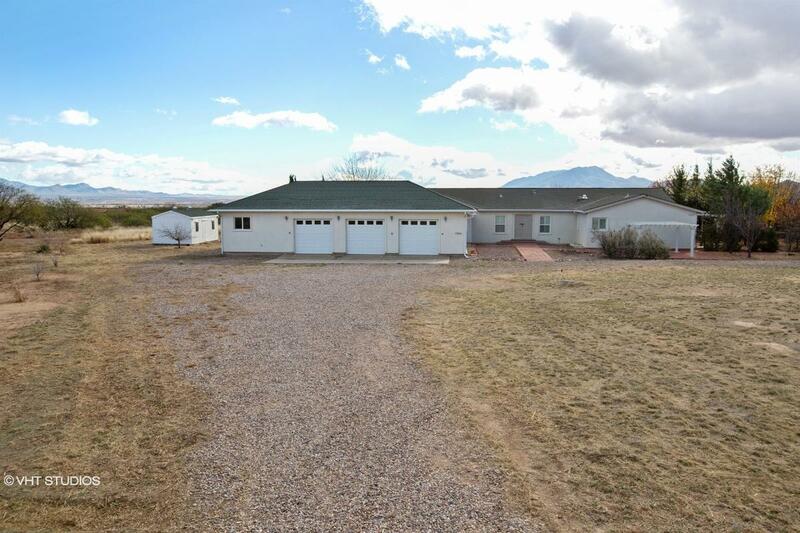 181045771838X SOLD Get Free Account to View Waddell AZ 2/5/2016 $414,489 View Details! 181751271962X SOLD Get Free Account to View Queen Creek AZ 2/5/2016 $283,990 View Details! 18357772009N SOLD Get Free Account to View Queen Creek AZ 2/5/2016 $296,990 View Details! 18465772114X SOLD Get Free Account to View Goodyear AZ 2/5/2016 $469,995 View Details! 18493754905X SOLD Get Free Account to View Peoria AZ 1/31/2016 $313,990 View Details! 182368294X SOLD Get Free Account to View Gilbert AZ 2/4/2016 $589,189 View Details! 18493772770N SOLD Get Free Account to View Phoenix AZ 1/20/2016 $302,990 View Details! CH-1611556005F7099 Open for Bid Get Free Account to View Golden Valley AZ 8/29/2016 $48,150 View Details! 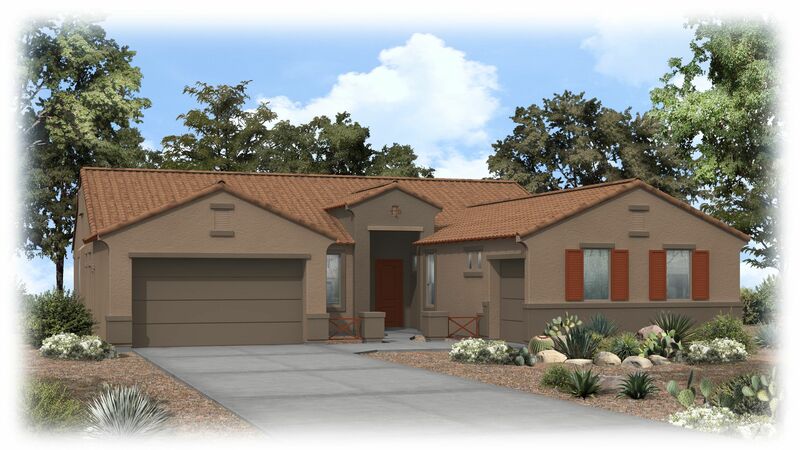 171791793330N SOLD Get Free Account to View Prescott AZ 2/1/2016 $335,890 View Details! 181733069466X SOLD Get Free Account to View Laveen AZ 2/5/2016 $205,990 View Details! 1871169436X SOLD Get Free Account to View Queen Creek AZ 2/1/2016 $330,900 View Details! 181733069465N SOLD Get Free Account to View Maricopa AZ 2/1/2016 $172,990 View Details! 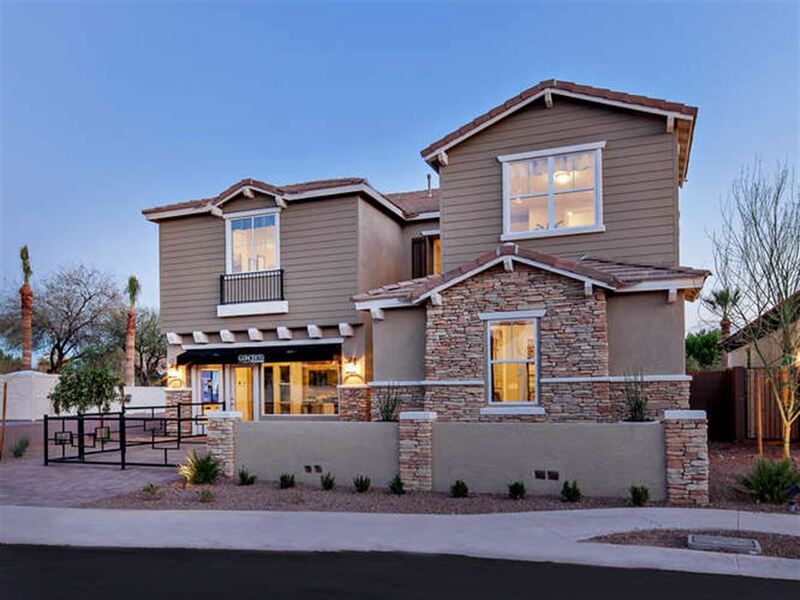 18108269505X SOLD Get Free Account to View Chandler AZ 2/5/2016 $578,742 View Details! 181751269756N SOLD Get Free Account to View Chandler AZ 2/5/2016 $311,250 View Details! 18975371605X SOLD Get Free Account to View Peoria AZ 2/2/2016 $329,215 View Details! 18108255627N SOLD Get Free Account to View Creek AZ 8/23/2012 $437,400 View Details! 18243666534N SOLD Get Free Account to View Valley AZ 11/27/2012 $150,990 View Details! 1871177695N SOLD Get Free Account to View Chandler AZ 2/24/2016 $455,400 View Details! 18454277426N SOLD Get Free Account to View Chandler AZ 2/6/2016 $343,990 View Details! 181690877563N SOLD Get Free Account to View Goodyear AZ 2/6/2016 $298,990 View Details! 181565977627N SOLD Get Free Account to View Carefree AZ 2/6/2016 $398,800 View Details! 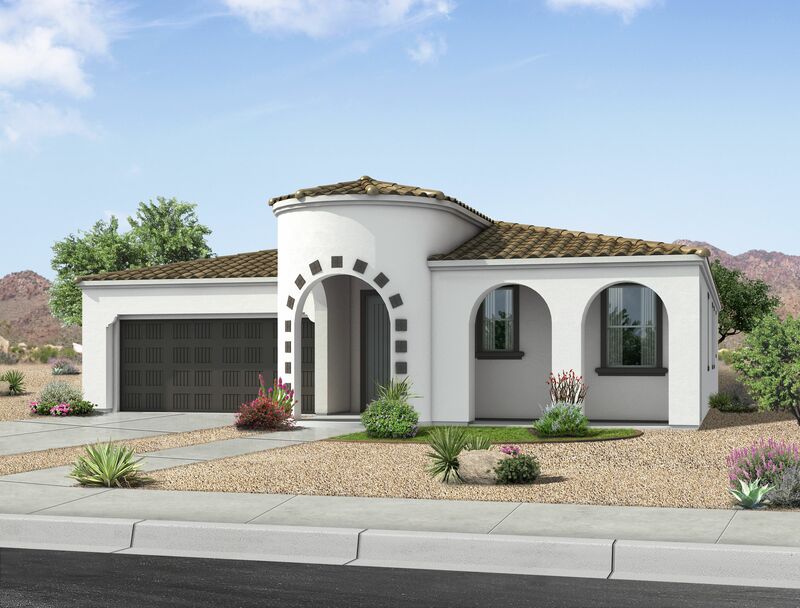 181751277650X SOLD Get Free Account to View Phoenix AZ 2/6/2016 $339,990 View Details! 18454277659X SOLD Get Free Account to View Phoenix AZ 2/6/2016 $720,000 View Details! 181870377634N SOLD Get Free Account to View Scottsdale AZ 2/6/2016 $439,000 View Details! 181171190210X SOLD Get Free Account to View Florence AZ 2/6/2016 $162,900 View Details! 18916090494N SOLD Get Free Account to View Maricopa AZ 2/6/2016 $159,900 View Details! 18454291131X SOLD Get Free Account to View Phoenix AZ 2/6/2016 $423,990 View Details! 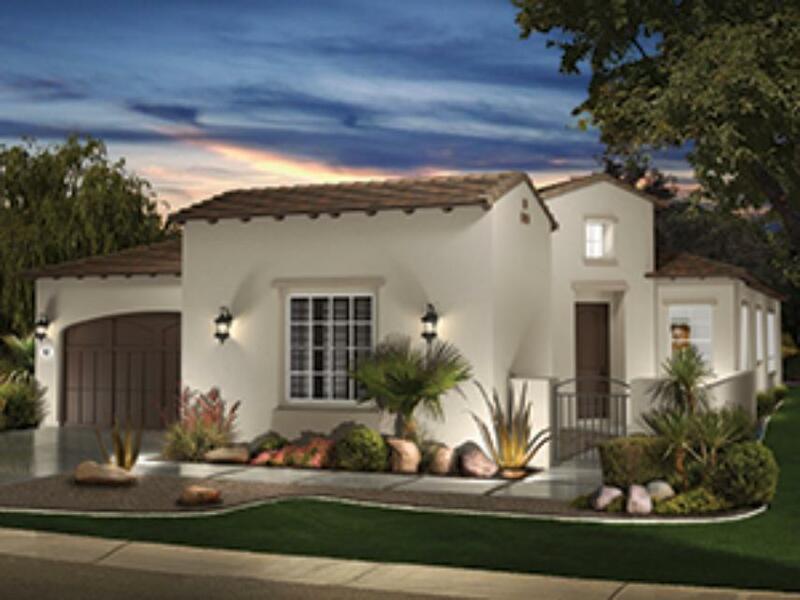 181051391367X SOLD Get Free Account to View Scottsdale AZ 2/6/2016 $1,290,926 View Details! 181751291756N SOLD Get Free Account to View Gilbert AZ 2/6/2016 $377,550 View Details! 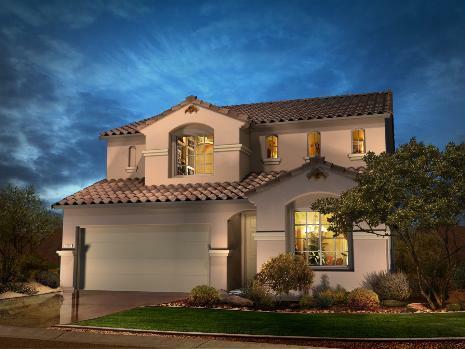 181051392117X SOLD Get Free Account to View Gilbert AZ 2/6/2016 $564,995 View Details! 18493792575X SOLD Get Free Account to View San Tan Valley AZ 2/6/2016 $369,990 View Details! 181751292932X SOLD Get Free Account to View Mesa AZ 2/6/2016 $296,950 View Details! 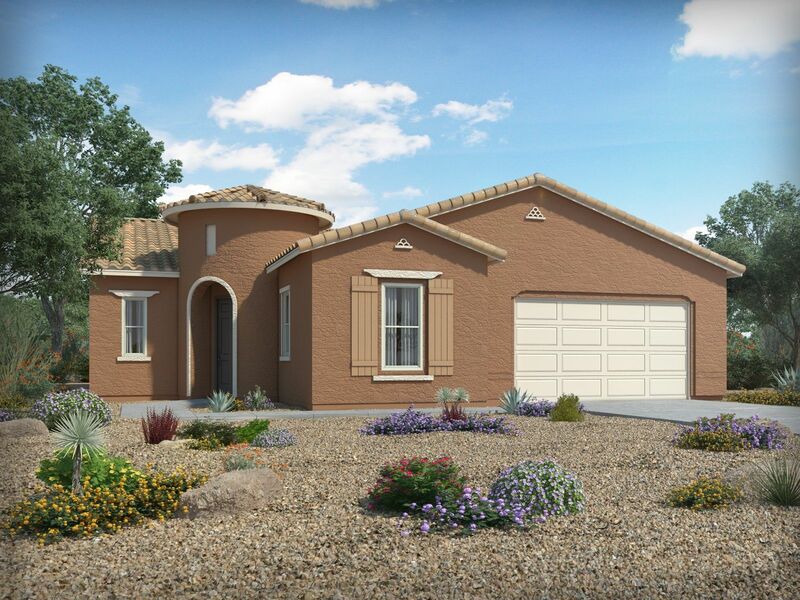 181028593259N SOLD Get Free Account to View Surprise AZ 2/6/2016 $320,990 View Details! 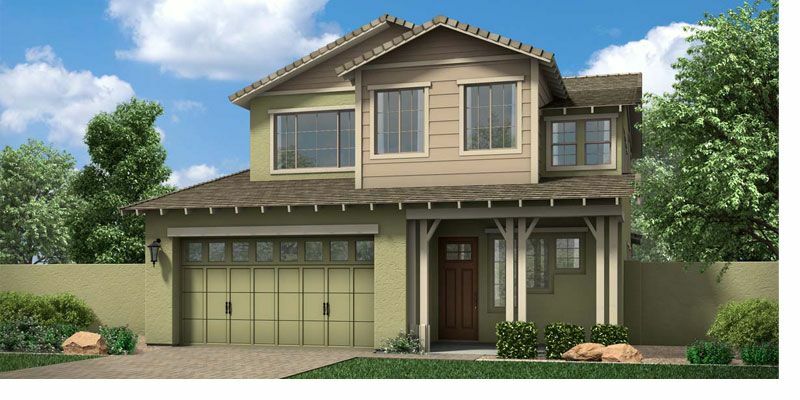 18108293856X SOLD Get Free Account to View Gilbert AZ 2/6/2016 $354,252 View Details! 182369291X SOLD Get Free Account to View Goodyear AZ 2/6/2016 $531,826 View Details! 18465772116N SOLD Get Free Account to View Peoria AZ 2/5/2016 $377,990 View Details! 18465772295N SOLD Get Free Account to View Phoenix AZ 2/1/2016 $288,990 View Details! 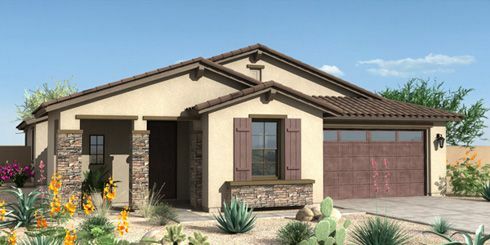 1871169677X SOLD Get Free Account to View Peoria AZ 2/1/2016 $258,931 View Details! 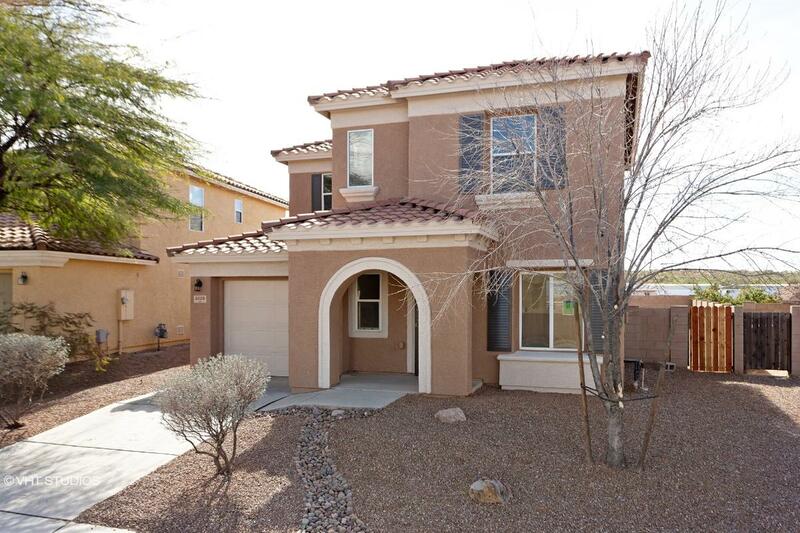 181045772690X SOLD Get Free Account to View San Tan Valley AZ 2/1/2016 $289,032 View Details! 18454272699X SOLD Get Free Account to View Phoenix AZ 2/1/2016 $380,990 View Details! 181051372945N SOLD Get Free Account to View Gilbert AZ 2/1/2016 $549,995 View Details! 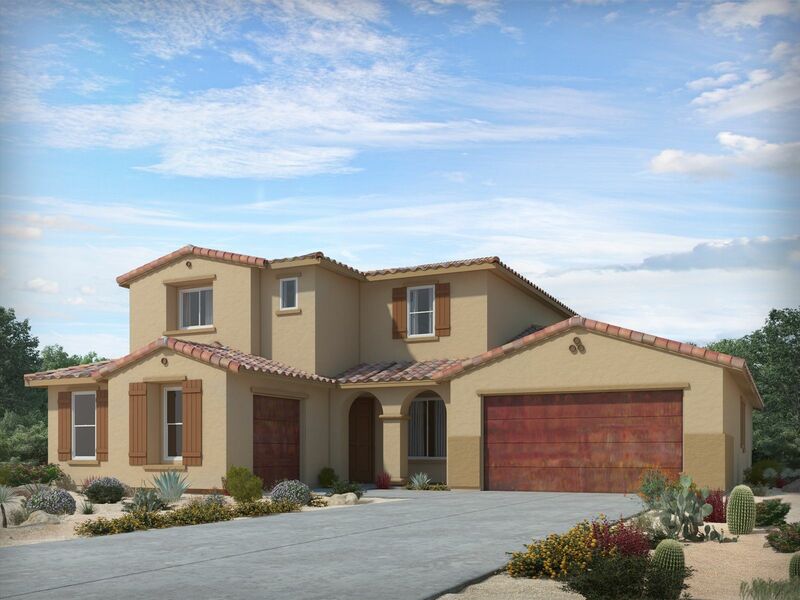 18465772117X SOLD Get Free Account to View Buckeye AZ 2/5/2016 $474,495 View Details! 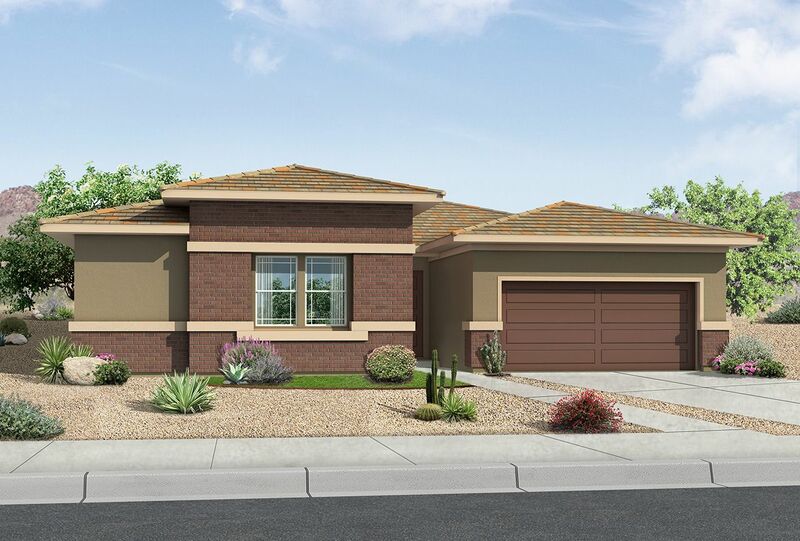 18465773058X SOLD Get Free Account to View Peoria AZ 2/1/2016 $669,995 View Details! 181051373801X SOLD Get Free Account to View Chandler AZ 2/1/2016 $603,995 View Details! 18243674077N SOLD Get Free Account to View Surprise AZ 2/1/2016 $254,990 View Details! 1874974340N SOLD Get Free Account to View Goodyear AZ 2/1/2016 $189,990 View Details! 181791774955N SOLD Get Free Account to View Hills AZ 2/1/2016 $645,125 View Details! 181051375035X SOLD Get Free Account to View Phoenix AZ 2/1/2016 $359,995 View Details! 181045775272X SOLD Get Free Account to View Buckeye AZ 2/1/2016 $389,145 View Details! 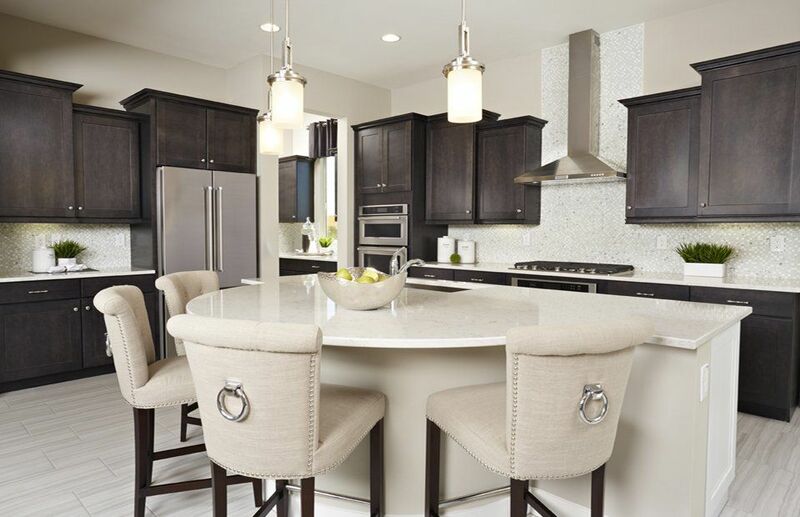 18927576110X SOLD Get Free Account to View Chandler AZ 2/1/2016 $479,990 View Details! 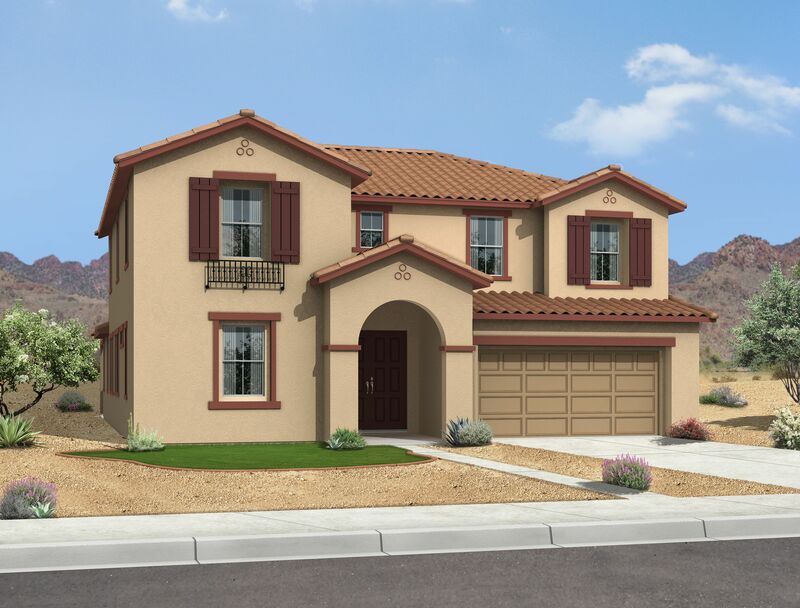 18480776112X SOLD Get Free Account to View Buckeye AZ 2/1/2016 $306,833 View Details! 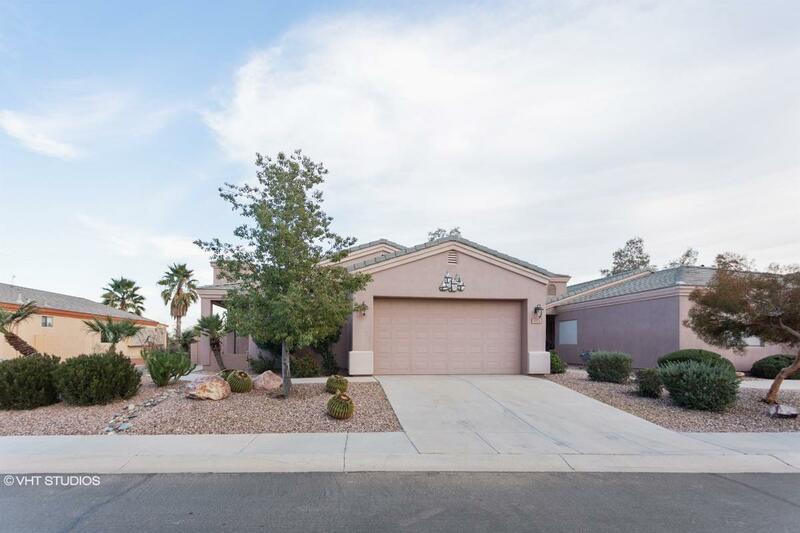 181051376282N SOLD Get Free Account to View Peoria AZ 2/1/2016 $464,995 View Details! 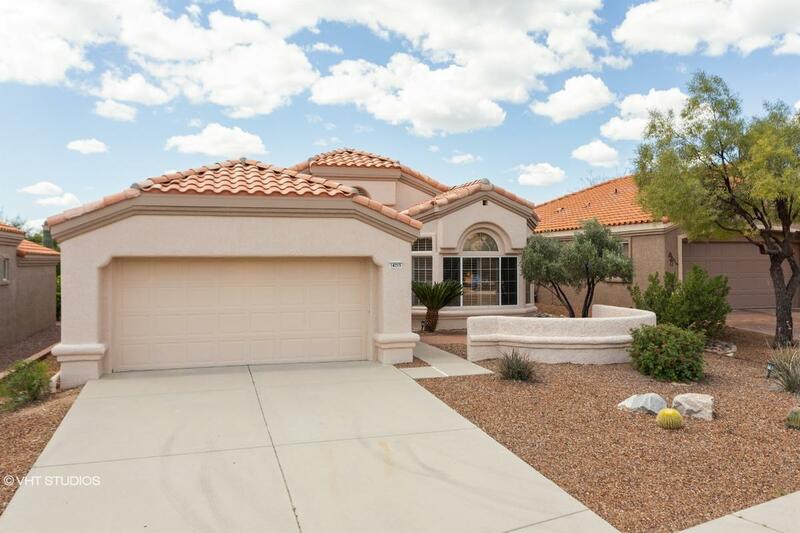 18111677208X SOLD Get Free Account to View Phoenix AZ 2/1/2016 $635,990 View Details! 18975373164N SOLD Get Free Account to View Peoria AZ 2/1/2016 $241,990 View Details! 1837677344N SOLD Get Free Account to View Buckeye AZ 2/1/2016 $223,400 View Details! 18454277427N SOLD Get Free Account to View Chandler AZ 2/1/2016 $459,990 View Details! 18454277481N SOLD Get Free Account to View Scottsdale AZ 2/1/2016 $544,990 View Details! 18320077736N SOLD Get Free Account to View Queen Creek AZ 2/1/2016 $216,400 View Details! 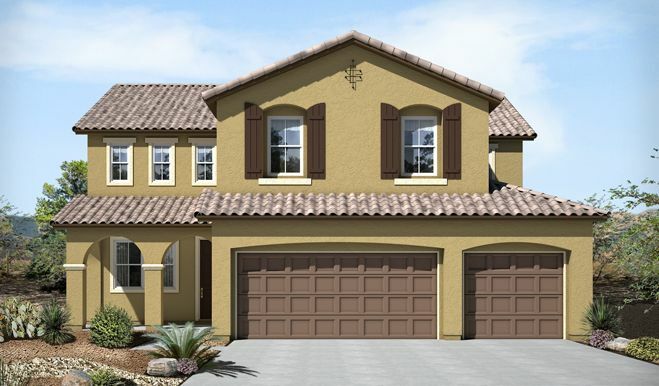 18975374311X SOLD Get Free Account to View Buckeye AZ 2/1/2016 $286,990 View Details! 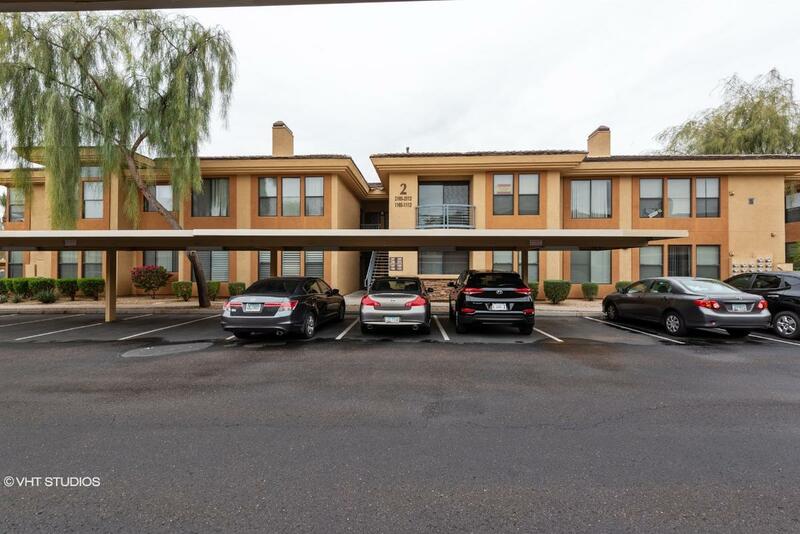 181751276985X SOLD Get Free Account to View Phoenix AZ 2/5/2016 $917,612 View Details! 194097695749N SOLD Get Free Account to View Tucson AZ 2/5/2016 $47,588 View Details! 181032693101N SOLD Get Free Account to View Phoenix AZ 3/5/2016 $455,000 View Details! 1871194339X SOLD Get Free Account to View Chandler AZ 3/5/2016 $582,146 View Details! 181190363717X SOLD Get Free Account to View Queen Creek AZ 3/5/2016 $693,236 View Details! 18454292413N SOLD Get Free Account to View Phoenix AZ 3/5/2016 $359,990 View Details! CH19132872067EF36 Open for Bid Get Free Account to View Tucson AZ 8/10/2016 $54,891 View Details! 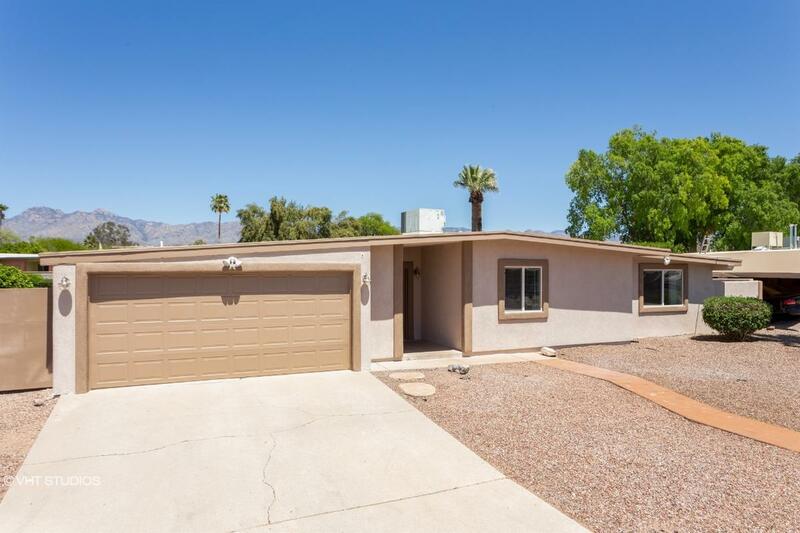 CH1036472987D4730 Open for Bid Get Free Account to View Phoenix AZ 8/10/2016 $89,900 View Details! CH-202876039B89BE Open for Bid Get Free Account to View Yuma AZ 8/10/2016 $129,900 View Details! CH8757722882AB71 Open for Bid Get Free Account to View Avondale AZ 8/10/2016 $229,900 View Details! CH-203646859746E17 Open for Bid Get Free Account to View El Mirage AZ 8/10/2016 $115,025 View Details! 194093195203N SOLD Get Free Account to View Oro Valley AZ 2/1/2016 $260,990 View Details! 171791773157X SOLD Get Free Account to View Chino Valley AZ 2/1/2016 $284,900 View Details! 171791793332N SOLD Get Free Account to View Prescott Valley AZ 2/1/2016 $269,000 View Details! 19445691726N SOLD Get Free Account to View Corona de Tucson AZ 2/5/2016 $309,900 View Details! 1874992661N SOLD Get Free Account to View Chandler AZ 2/5/2016 $296,990 View Details! 18357792708X SOLD Get Free Account to View Peoria AZ 2/5/2016 $365,990 View Details! 181171193727X SOLD Get Free Account to View Mesa AZ 2/5/2016 $228,900 View Details! 182394265N SOLD Get Free Account to View Phoenix AZ 2/5/2016 $474,990 View Details! 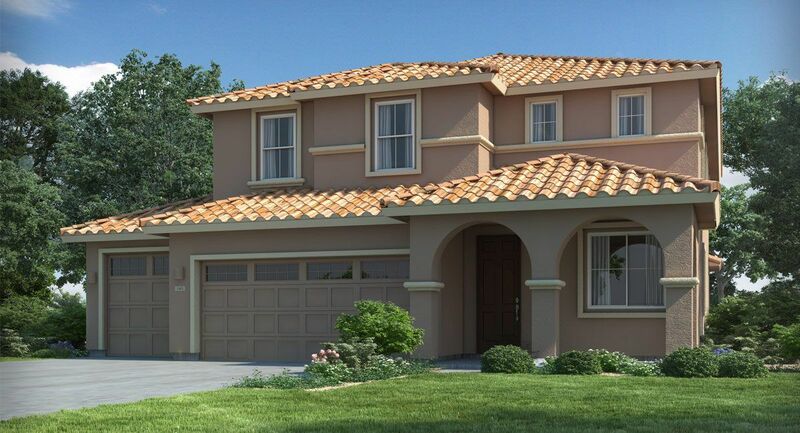 17986490486X SOLD Get Free Account to View Prescott AZ 2/5/2016 $459,820 View Details! 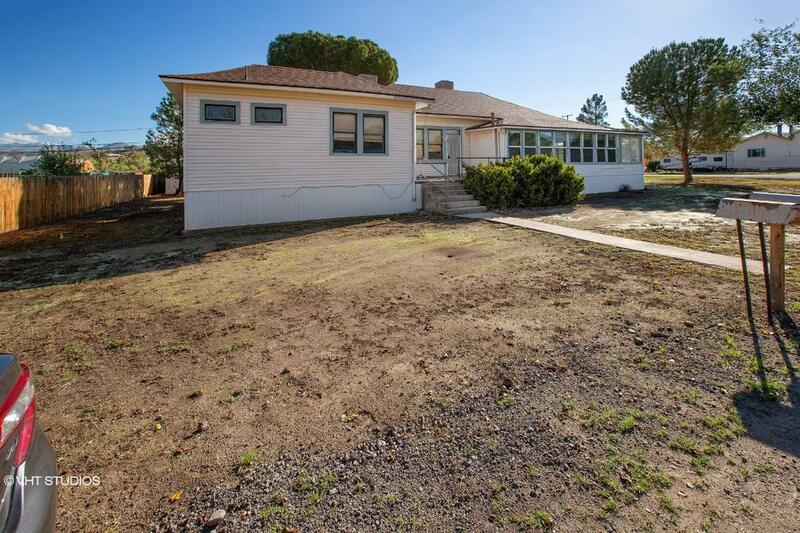 174097795761N SOLD Get Free Account to View Chino Valley AZ 2/5/2016 $50,488 View Details! 18465010375X SOLD Get Free Account to View Buckeye AZ 2/5/2016 $246,800 View Details! 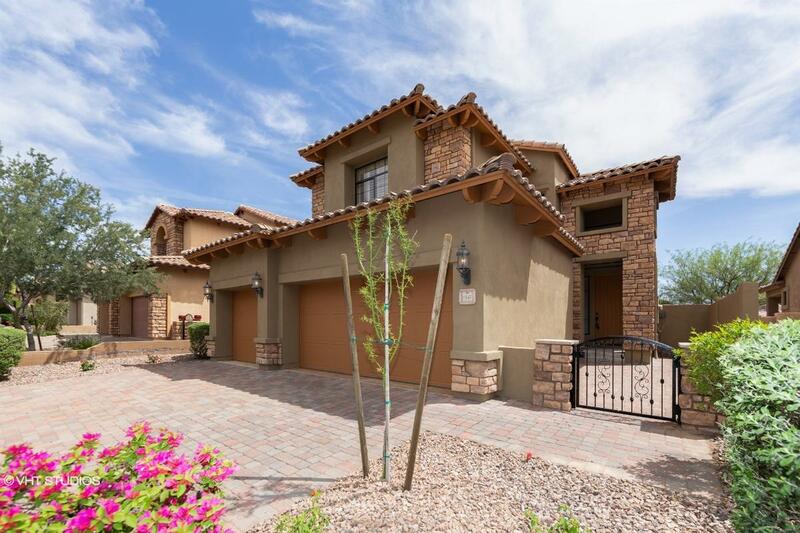 181051352659N SOLD Get Free Account to View Scottsdale AZ 2/5/2016 $943,995 View Details! 18243668916X SOLD Get Free Account to View Gilbert AZ 2/5/2016 $387,900 View Details! 3694097695750N SOLD Get Free Account to View Fort Mohave AZ 3/4/2016 $42,510 View Details! 18493768990X SOLD Get Free Account to View Surprise AZ 3/6/2016 $315,250 View Details! 19445692859N SOLD Get Free Account to View Tucson AZ 3/5/2016 $186,900 View Details! 184092595149N SOLD Get Free Account to View Mesa AZ 2/23/2016 $284,500 View Details! 184092595150N SOLD Get Free Account to View Chandler AZ 2/23/2016 $484,000 View Details! 184092595151N SOLD Get Free Account to View Mesa AZ 2/23/2016 $499,000 View Details! 184092595152N SOLD Get Free Account to View Peoria AZ 2/23/2016 $329,000 View Details! 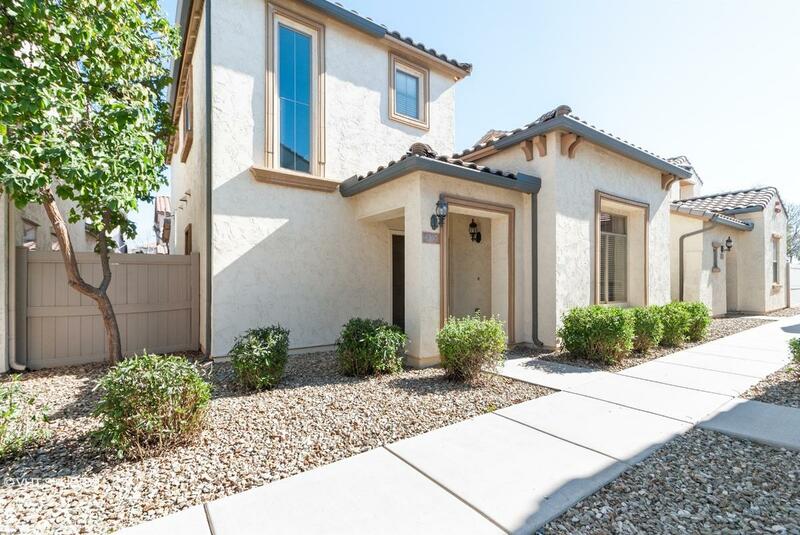 184092595154N SOLD Get Free Account to View Chandler AZ 2/23/2016 $309,281 View Details! 184092595155N SOLD Get Free Account to View Queen Creek AZ 2/23/2016 $297,500 View Details! 184092595156X SOLD Get Free Account to View Peoria AZ 2/23/2016 $294,500 View Details! 184092595158X SOLD Get Free Account to View Buckeye AZ 2/23/2016 $549,000 View Details! 1871194098X SOLD Get Free Account to View Scottsdale AZ 1/29/2016 $763,900 View Details! 184092595160N SOLD Get Free Account to View Buckeye AZ 2/23/2016 $359,000 View Details! 18357794845N SOLD Get Free Account to View Chandler AZ 2/23/2016 $432,990 View Details! 181751269937X SOLD Get Free Account to View Scottsdale AZ 3/4/2016 $632,841 View Details! 1975172444X SOLD Get Free Account to View Sahuarita AZ 1/19/2016 $276,298 View Details! 181032672621N SOLD Get Free Account to View Queen Creek AZ 3/5/2016 $441,084 View Details! 18357772140N SOLD Get Free Account to View Buckeye AZ 3/4/2016 $217,990 View Details! 18465766102N SOLD Get Free Account to View Peoria AZ 1/31/2016 $369,990 View Details! 181751292492N SOLD Get Free Account to View Mesa AZ 2/4/2016 $237,450 View Details! 18357792709X SOLD Get Free Account to View Peoria AZ 2/4/2016 $460,990 View Details! 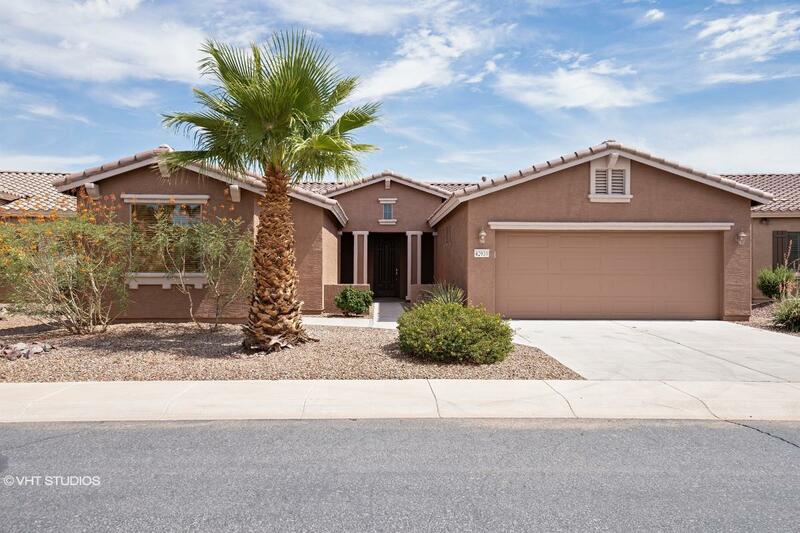 181045792892X SOLD Get Free Account to View Peoria AZ 2/4/2016 $464,846 View Details! 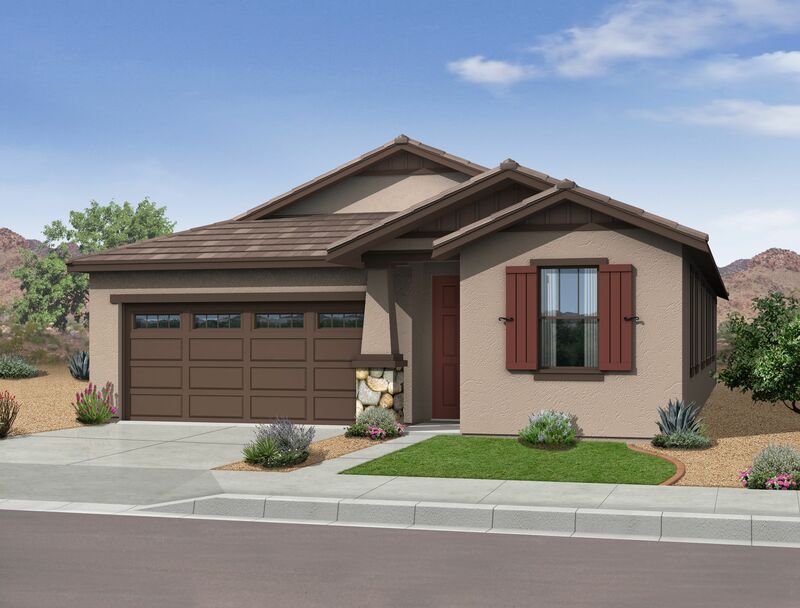 181733068408X SOLD Get Free Account to View Surprise AZ 1/31/2016 $381,151 View Details! 18243668491N SOLD Get Free Account to View Gilbert AZ 1/31/2016 $377,990 View Details! 1874969135X SOLD Get Free Account to View San Tan Valley AZ 1/31/2016 $180,990 View Details! 181690869427X SOLD Get Free Account to View Gilbert AZ 1/31/2016 $399,990 View Details! 184092595161N SOLD Get Free Account to View Queen Creek AZ 1/31/2016 $290,900 View Details! 18465772120X SOLD Get Free Account to View Chandler AZ 3/5/2016 $384,995 View Details! 18975369687N SOLD Get Free Account to View Surprise AZ 3/5/2016 $312,490 View Details! 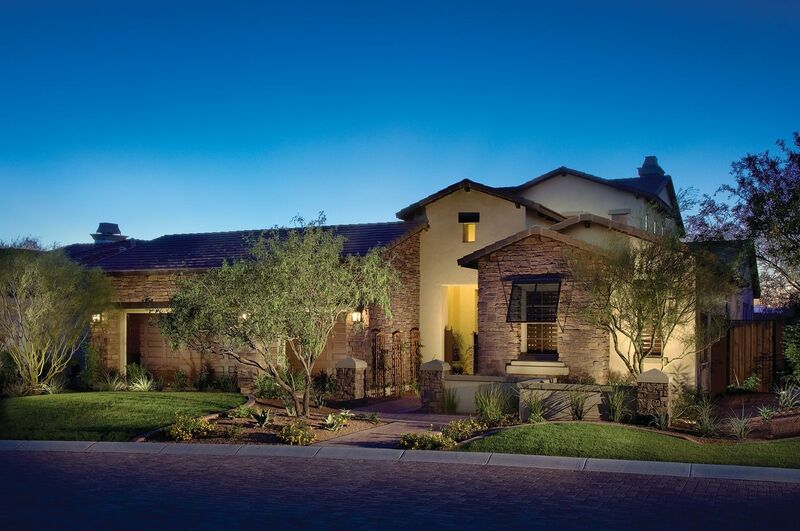 181051374928X SOLD Get Free Account to View Scottsdale AZ 3/5/2016 $744,995 View Details! 181586275271N SOLD Get Free Account to View Mesa AZ 3/5/2016 $246,900 View Details! 18892475291X SOLD Get Free Account to View Queen Creek AZ 3/5/2016 $385,512 View Details! 18357775246X SOLD Get Free Account to View Mesa AZ 3/5/2016 $377,490 View Details! 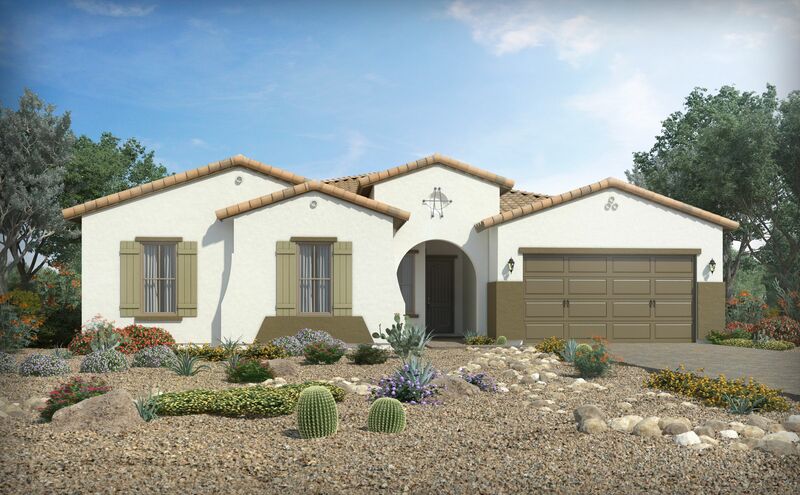 18243575514X SOLD Get Free Account to View Wickenburg AZ 3/5/2016 $699,698 View Details! 1874975769X SOLD Get Free Account to View Gilbert AZ 3/5/2016 $274,990 View Details! 1837695025X SOLD Get Free Account to View Avondale AZ 3/5/2016 $265,400 View Details! 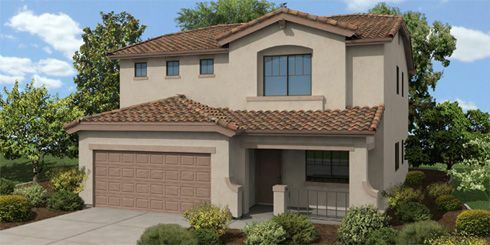 18465745613X SOLD Get Free Account to View Maricopa AZ 8/23/2012 $274,495 View Details! 18454270841N SOLD Get Free Account to View Phoenix AZ 2/24/2016 $342,990 View Details! 30389777 SOLD Get Free Account to View TUCSON AZ $74,900 View Details! 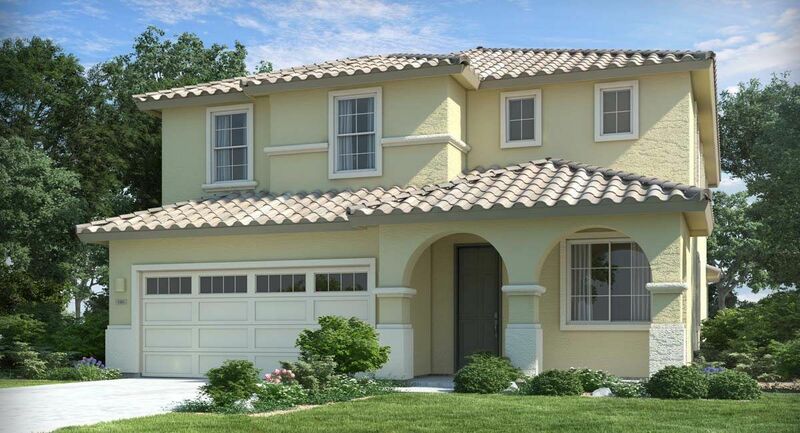 18111671138X SOLD Get Free Account to View Mesa AZ 1/21/2016 $411,990 View Details! 18493771218X SOLD Get Free Account to View Mesa AZ 1/21/2016 $437,990 View Details! 181733071506X SOLD Get Free Account to View Buckeye AZ 1/21/2016 $322,515 View Details! 18357774201X SOLD Get Free Account to View Gilbert AZ 1/21/2016 $594,490 View Details! 1871174301X SOLD Get Free Account to View Chandler AZ 1/21/2016 $373,900 View Details! 18357772321N SOLD Get Free Account to View Mesa AZ 3/4/2016 $267,990 View Details! 18927572382X SOLD Get Free Account to View Gilbert AZ 3/4/2016 $515,000 View Details! 18465772392X SOLD Get Free Account to View San Tan Valley AZ 3/4/2016 $310,495 View Details! 18467072393N SOLD Get Free Account to View Cave Creek AZ 3/4/2016 $719,990 View Details! 1874972612X SOLD Get Free Account to View Mesa AZ 3/4/2016 $269,990 View Details! 181045772689X SOLD Get Free Account to View Goodyear AZ 3/4/2016 $244,900 View Details! 18454271957N SOLD Get Free Account to View Phoenix AZ 3/4/2016 $272,990 View Details! 1837673162X SOLD Get Free Account to View Surprise AZ 3/4/2016 $172,900 View Details! 181747069461N SOLD Get Free Account to View Apache Junction AZ 1/19/2016 $169,900 View Details! 181690894684X SOLD Get Free Account to View Peoria AZ 3/4/2016 $414,990 View Details! 184090694926X SOLD Get Free Account to View Mesa AZ 3/4/2016 $497,990 View Details! 1837695025N SOLD Get Free Account to View Avondale AZ 3/4/2016 $221,400 View Details! 18454270833N SOLD Get Free Account to View Chandler AZ 1/19/2016 $309,990 View Details! 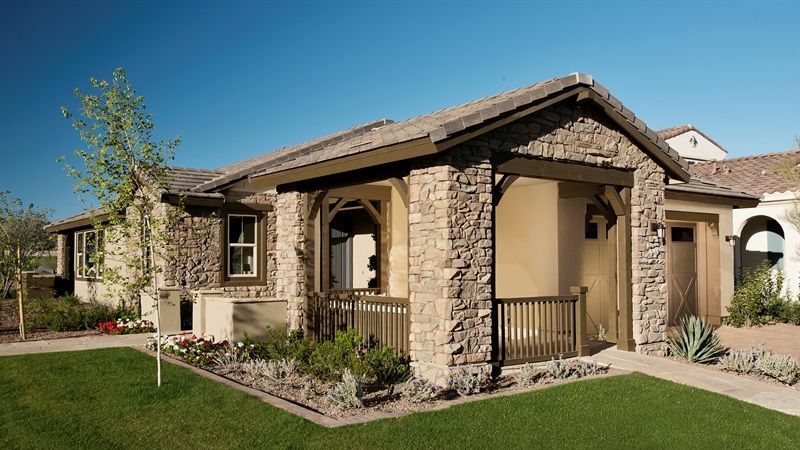 18454270843N SOLD Get Free Account to View Queen Creek AZ 1/19/2016 $299,990 View Details! 181733069940X SOLD Get Free Account to View San Tan Valley AZ 1/30/2016 $243,802 View Details! 18927555478X SOLD Get Free Account to View Peoria AZ 3/2/2016 $419,990 View Details! 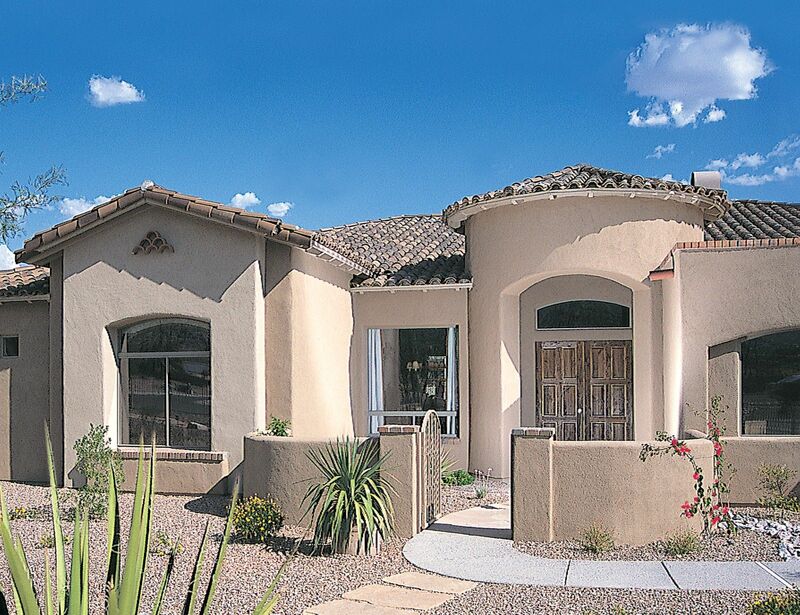 18111670665X SOLD Get Free Account to View Phoenix AZ 1/30/2016 $682,395 View Details! 19493746479N SOLD Get Free Account to View Tucson AZ 8/23/2012 $191,990 View Details! 18357793538N SOLD Get Free Account to View Peoria AZ 2/3/2016 $249,990 View Details! 18493774641X SOLD Get Free Account to View Cave Creek AZ 2/22/2016 $699,990 View Details! 18975375673N SOLD Get Free Account to View Litchfield Park AZ 2/22/2016 $297,490 View Details! 18454277254N SOLD Get Free Account to View Gilbert AZ 2/22/2016 $287,990 View Details! 18373269608X SOLD Get Free Account to View Phoenix AZ 2/3/2016 $423,353 View Details! 17986469136X SOLD Get Free Account to View Dewey AZ 3/4/2016 $305,059 View Details! 17986469622N SOLD Get Free Account to View Prescott Valley AZ 3/4/2016 $335,144 View Details! 17986475241N SOLD Get Free Account to View Dewey AZ 3/4/2016 $204,841 View Details! 174097695738X SOLD Get Free Account to View Chino Valley AZ 3/4/2016 $171,778 View Details! 194093195199X SOLD Get Free Account to View Marana AZ 2/3/2016 $424,990 View Details! 181171171682N SOLD Get Free Account to View Queen Creek AZ 3/4/2016 $292,700 View Details! 181171171889X SOLD Get Free Account to View San Tan Valley AZ 3/4/2016 $195,600 View Details! 30389340 SOLD Get Free Account to View GLENDALE AZ $95,000 View Details! 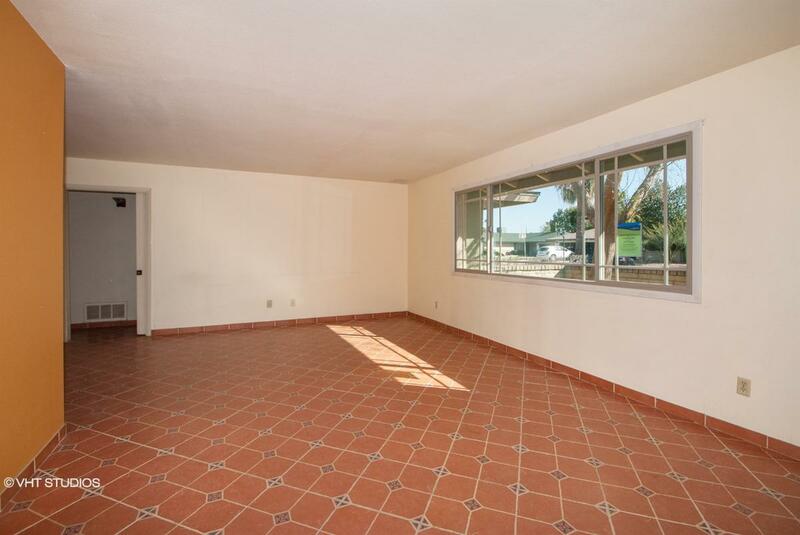 1874994629X SOLD Get Free Account to View Maricopa AZ 1/29/2016 $303,140 View Details! 18465768382N SOLD Get Free Account to View Queen Creek AZ 1/12/2016 $300,990 View Details! 181751293625N SOLD Get Free Account to View Gilbert AZ 1/12/2016 $347,950 View Details! CH-1922900051E3AAB Open for Bid Get Free Account to View Wickenburg AZ 2/21/2016 $170,030 View Details! 18243548309N SOLD Get Free Account to View Valley AZ 8/23/2012 $189,000 View Details! 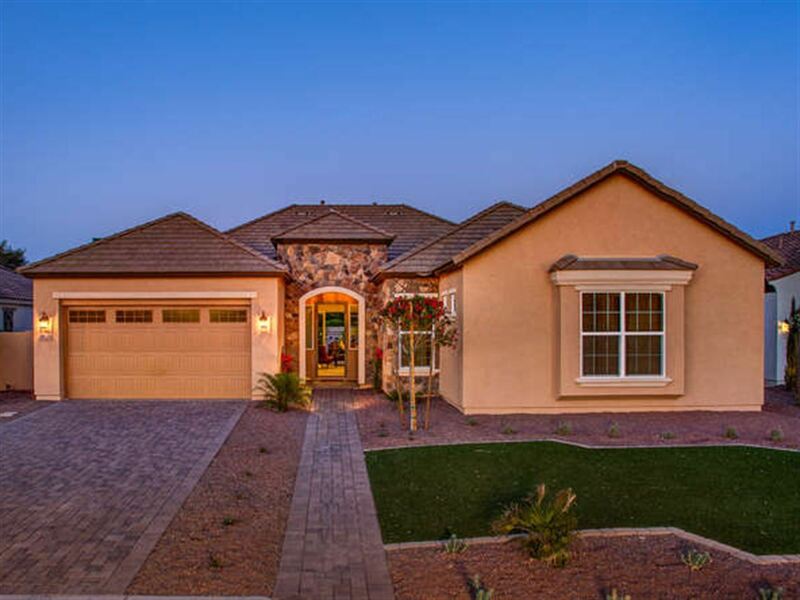 181690866577N SOLD Get Free Account to View Peoria AZ 1/12/2016 $374,990 View Details! 182366869N SOLD Get Free Account to View Gilbert AZ 1/12/2016 $959,292 View Details! 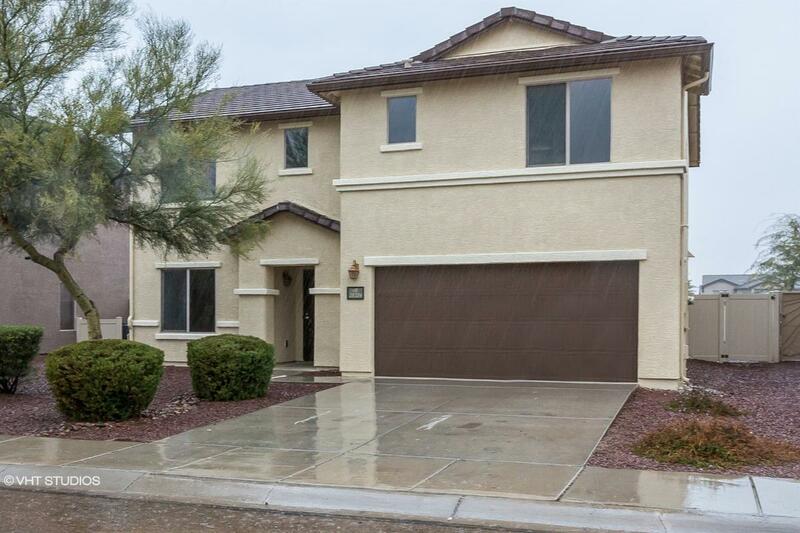 181028567995N SOLD Get Free Account to View Avondale AZ 1/12/2016 $202,490 View Details! 369252574776X SOLD Get Free Account to View Kingman AZ 3/1/2016 $485,000 View Details! 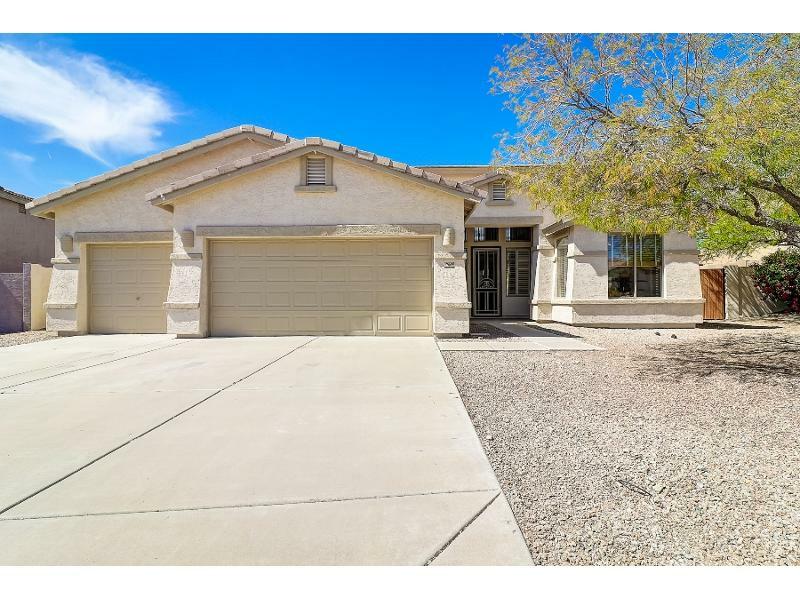 18243694113X SOLD Get Free Account to View Mesa AZ 1/29/2016 $328,867 View Details! 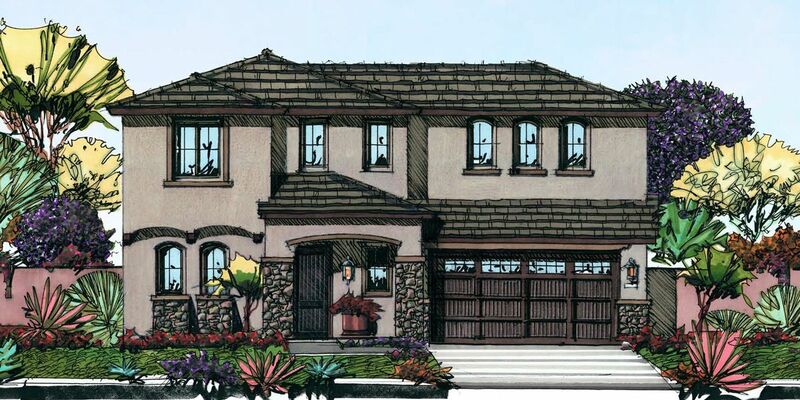 18927569625X SOLD Get Free Account to View Gilbert AZ 1/10/2016 $359,937 View Details! 18454277440X SOLD Get Free Account to View Mesa AZ 1/10/2016 $425,428 View Details! 18454277480X SOLD Get Free Account to View Gilbert AZ 1/10/2016 $693,900 View Details! 19916075595N SOLD Get Free Account to View Marana AZ 1/22/2016 $199,900 View Details! 191106375485N SOLD Get Free Account to View Tucson AZ 1/22/2016 $187,900 View Details! 1960694090X SOLD Get Free Account to View Tucson AZ 1/22/2016 $264,990 View Details! 18454264790N SOLD Get Free Account to View Mesa AZ 9/28/2012 $365,990 View Details! 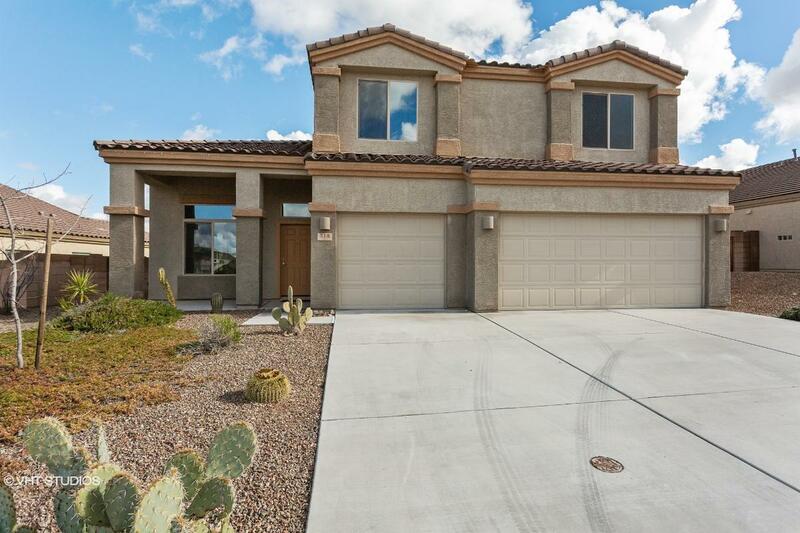 1871167053X SOLD Get Free Account to View Buckeye AZ 2/9/2016 $272,832 View Details! 18243668490N SOLD Get Free Account to View Gilbert AZ 2/9/2016 $312,990 View Details! 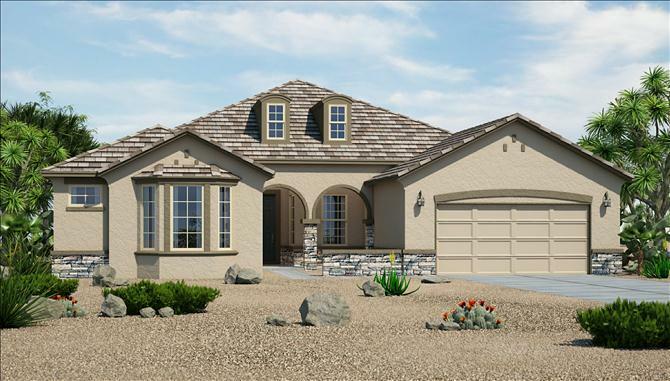 18243666493N SOLD Get Free Account to View Valley AZ 11/19/2012 $197,990 View Details! 184524506X SOLD Get Free Account to View Buckeye AZ 2/2/2016 $384,990 View Details! 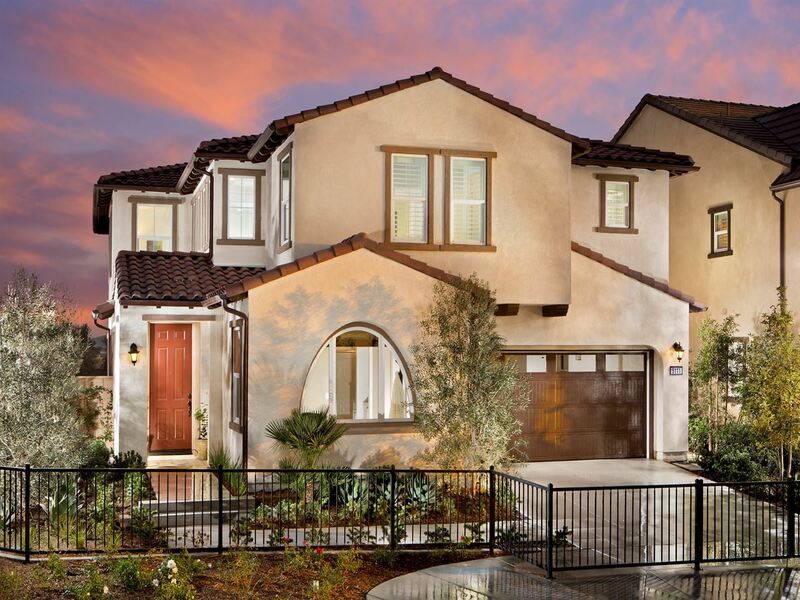 181733068416X SOLD Get Free Account to View Surprise AZ 1/22/2016 $329,994 View Details! 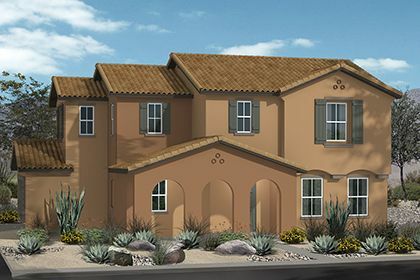 181733068419X SOLD Get Free Account to View Buckeye AZ 1/22/2016 $299,990 View Details! 181733068422X SOLD Get Free Account to View Laveen AZ 1/22/2016 $300,744 View Details! 181733068423N SOLD Get Free Account to View Goodyear AZ 1/22/2016 $246,990 View Details! 18243528969X SOLD Get Free Account to View Peoria AZ 2/2/2016 $476,400 View Details! 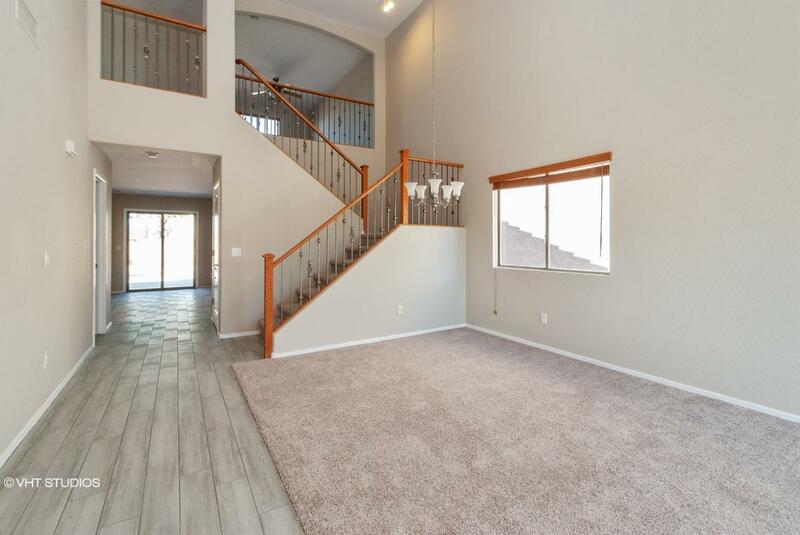 18465770648X SOLD Get Free Account to View Tolleson AZ 1/10/2016 $303,995 View Details! 18891346316N SOLD Get Free Account to View Mesa AZ 1/14/2016 $215,900 View Details! 18320046357N SOLD Get Free Account to View Mesa AZ 1/14/2016 $417,900 View Details! CH30609362692ACD Open for Bid Get Free Account to View Tonopah AZ 10/12/2016 $117,486 View Details! 19465866104N SOLD Get Free Account to View Marana AZ 12/15/2015 $368,899 View Details! 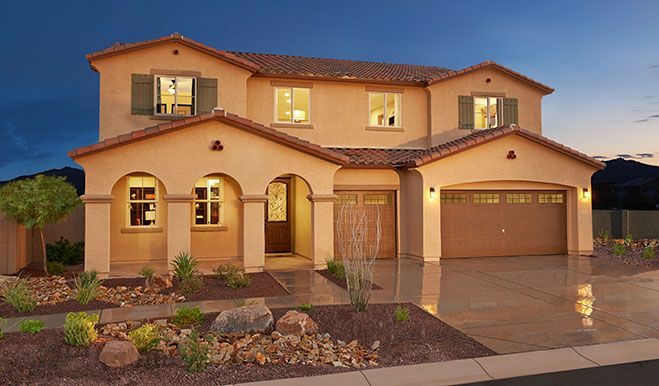 182366870N SOLD Get Free Account to View Peoria AZ 12/15/2015 $524,990 View Details! 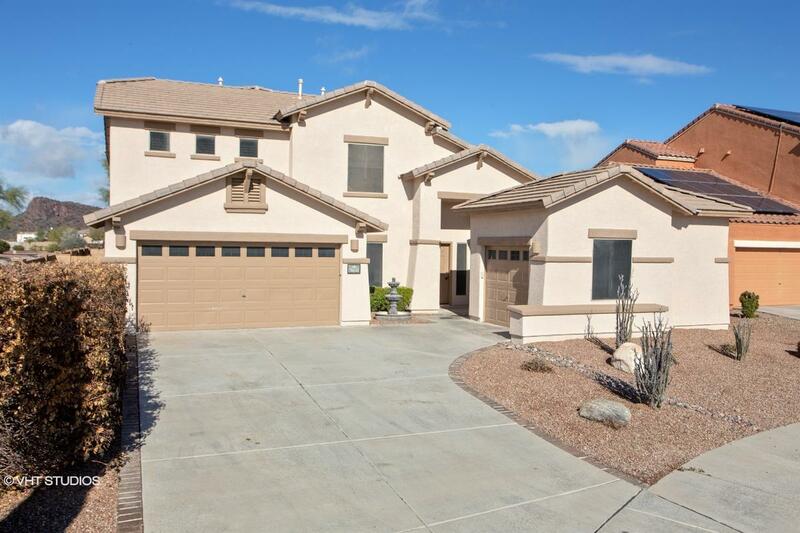 18927568531N SOLD Get Free Account to View Mesa AZ 12/15/2015 $375,490 View Details! 181032669053N SOLD Get Free Account to View Goodyear AZ 12/15/2015 $299,347 View Details! 18493768782N SOLD Get Free Account to View Gilbert AZ 12/15/2015 $428,990 View Details! 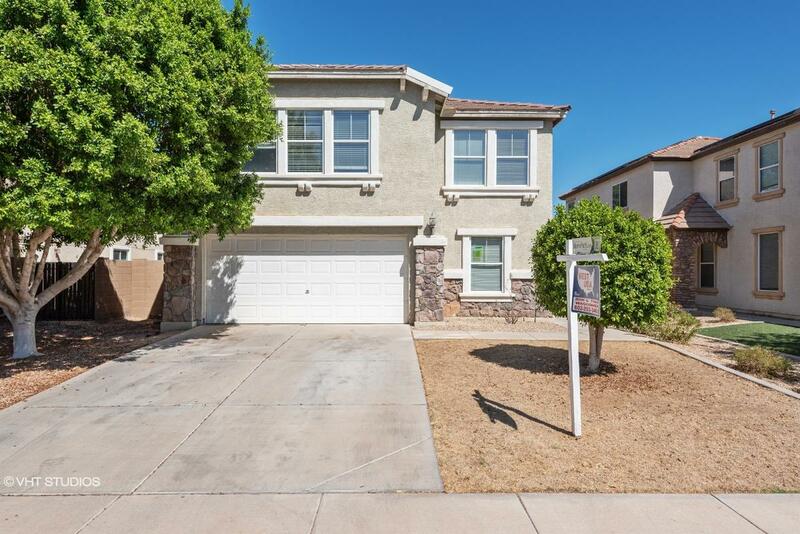 1871169191N SOLD Get Free Account to View Mesa AZ 12/15/2015 $289,900 View Details! 18916069237N SOLD Get Free Account to View Florence AZ 12/15/2015 $169,900 View Details! 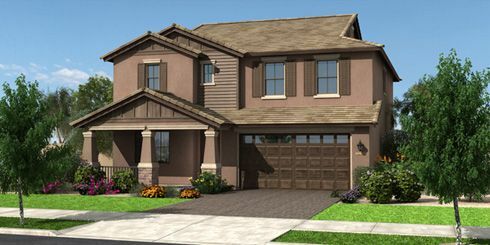 182369290N SOLD Get Free Account to View Goodyear AZ 12/15/2015 $307,990 View Details! 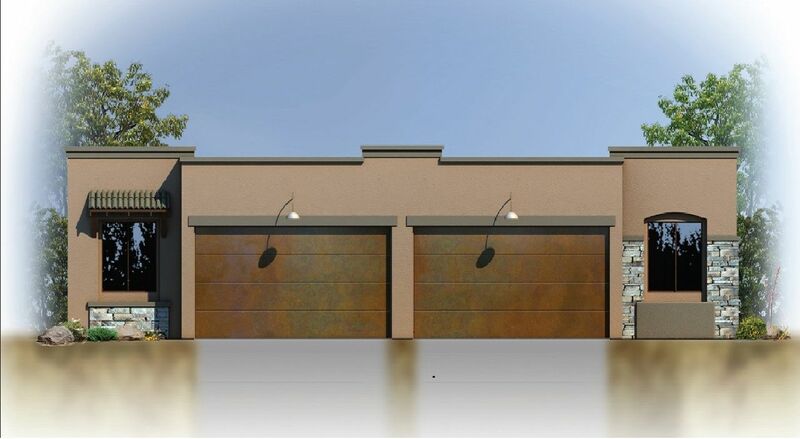 181032669424N SOLD Get Free Account to View Scottsdale AZ 12/15/2015 $1,250,000 View Details! 18454273260N SOLD Get Free Account to View Gilbert AZ 12/15/2015 $280,990 View Details! 18454273261N SOLD Get Free Account to View Goodyear AZ 12/15/2015 $201,990 View Details! 18320072978N SOLD Get Free Account to View Glendale AZ 12/15/2015 $341,900 View Details! 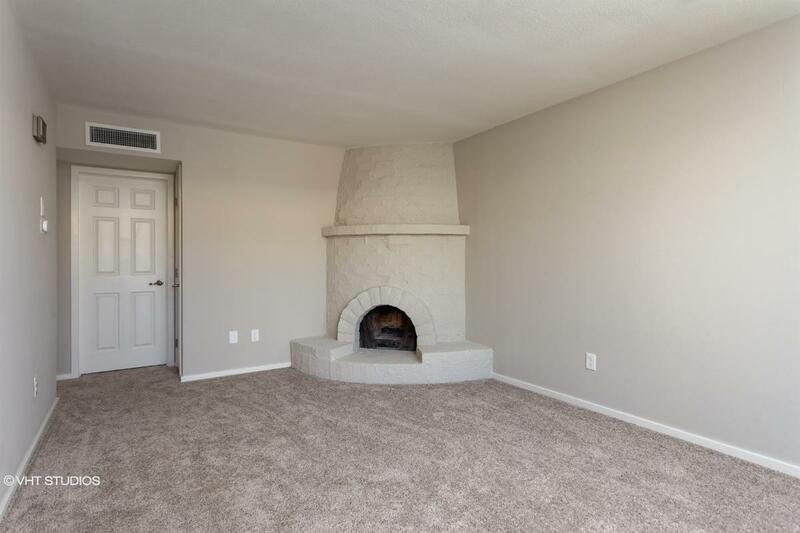 18465073330N SOLD Get Free Account to View Maricopa AZ 12/15/2015 $169,900 View Details! 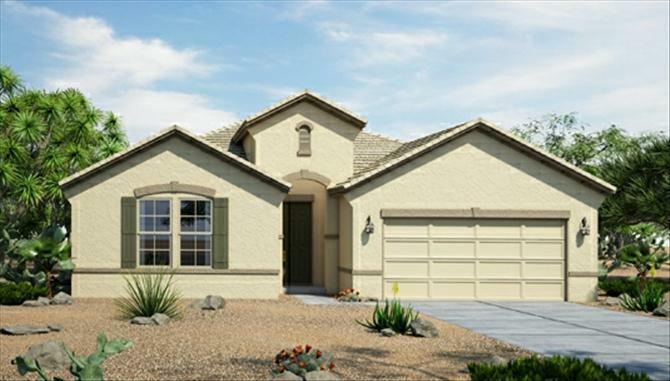 181032673446N SOLD Get Free Account to View Peoria AZ 12/15/2015 $285,990 View Details! 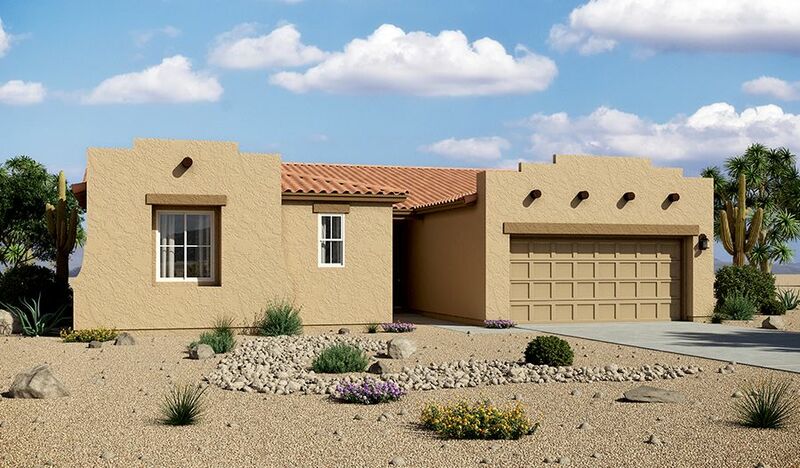 181032673447N SOLD Get Free Account to View Peoria AZ 12/15/2015 $318,990 View Details! 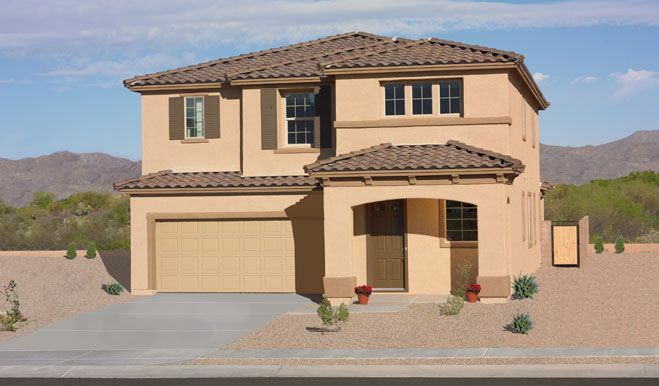 18937673620N SOLD Get Free Account to View Phoenix AZ 12/15/2015 $295,990 View Details! 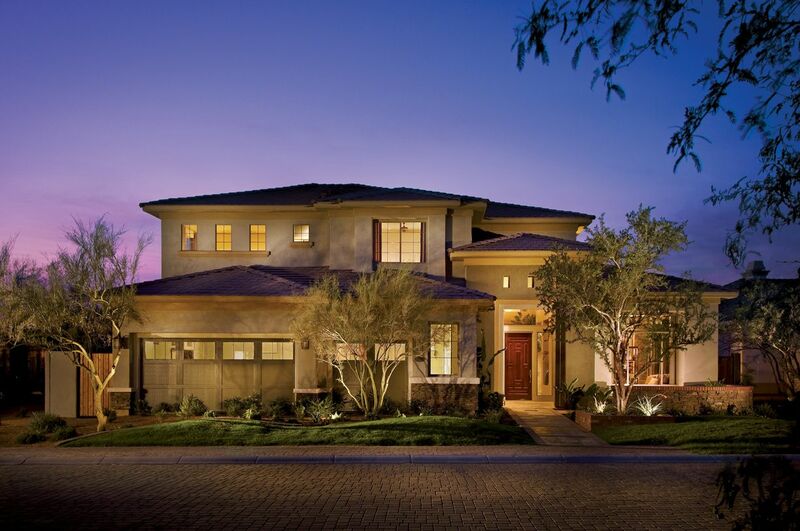 18937673622N SOLD Get Free Account to View Scottsdale AZ 12/15/2015 $1,060,000 View Details! 181791773692N SOLD Get Free Account to View Glendale AZ 12/15/2015 $479,890 View Details! 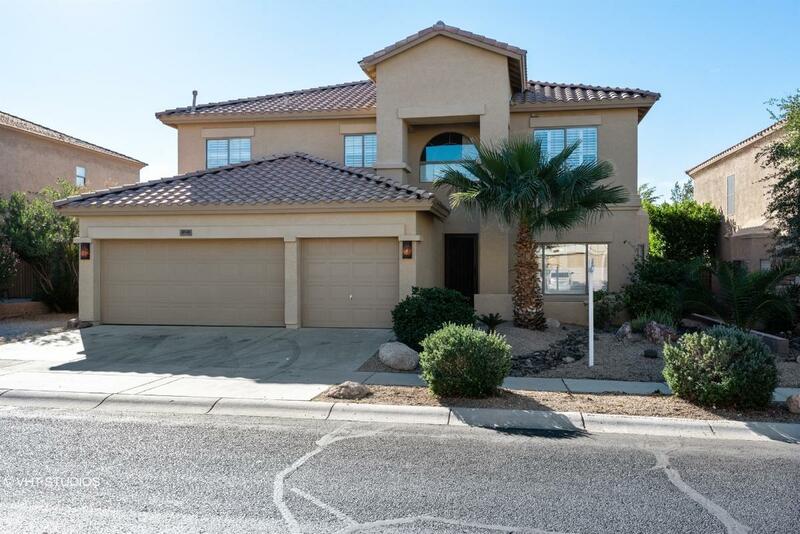 181751292312N SOLD Get Free Account to View Phoenix AZ 12/15/2015 $357,950 View Details! 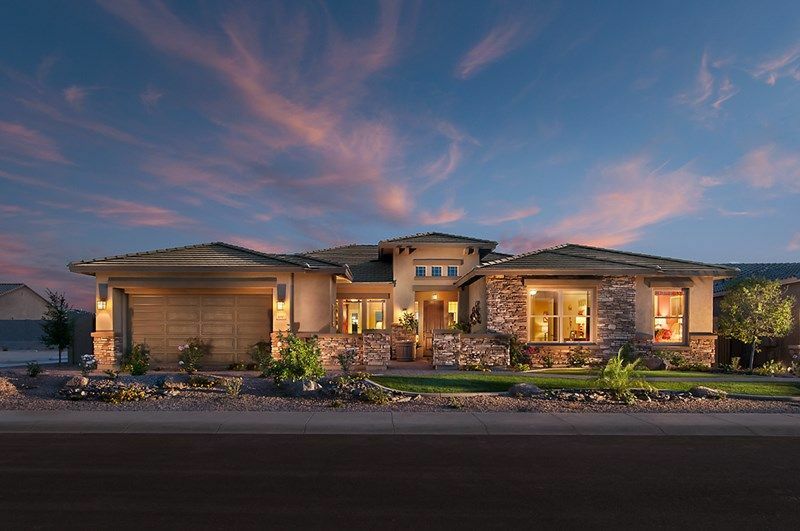 182392908N SOLD Get Free Account to View Peoria AZ 12/15/2015 $487,990 View Details! CH892047729569C2 Open for Bid Get Free Account to View Sierra Vista AZ 10/19/2016 $115,560 View Details! 30390253 SOLD Get Free Account to View BENSON AZ $39,900 View Details! 30389687 SOLD Get Free Account to View PRESCOTT AZ $194,900 View Details! 1837616565X SOLD Get Free Account to View Valley AZ 8/23/2012 $301,400 View Details! 18108241400N SOLD Get Free Account to View Creek AZ 8/23/2012 $195,900 View Details! 18108241401N SOLD Get Free Account to View Creek AZ 8/23/2012 $244,900 View Details! 18108241402N SOLD Get Free Account to View Creek AZ 8/23/2012 $289,900 View Details! CH44084855603D6A Open for Bid Get Free Account to View Black Canyon City AZ 10/19/2016 $87,740 View Details! 18465022675N SOLD Get Free Account to View Grande AZ 8/23/2012 $227,500 View Details! 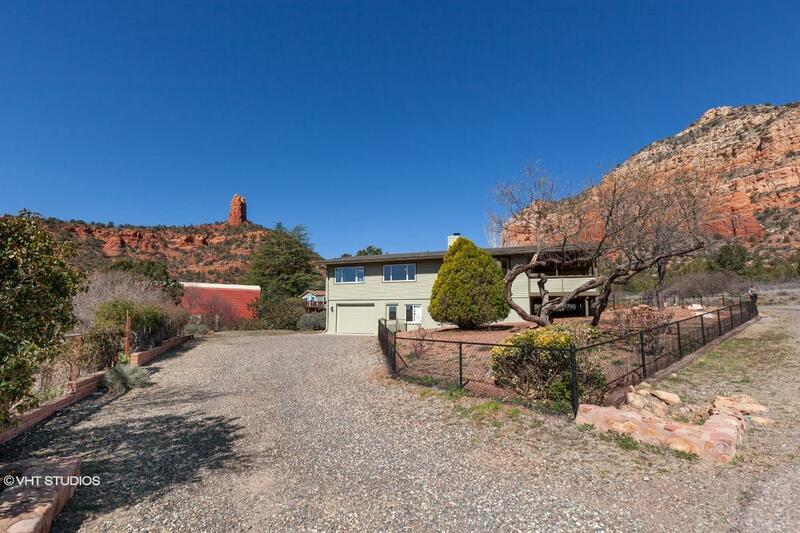 18357742300N SOLD Get Free Account to View Creek AZ 8/23/2012 $483,990 View Details! 1960673497X SOLD Get Free Account to View Tucson AZ 1/14/2016 $269,990 View Details! 30388316 SOLD Get Free Account to View GREEN VALLEY AZ 1/9/2016 $74,900 View Details! 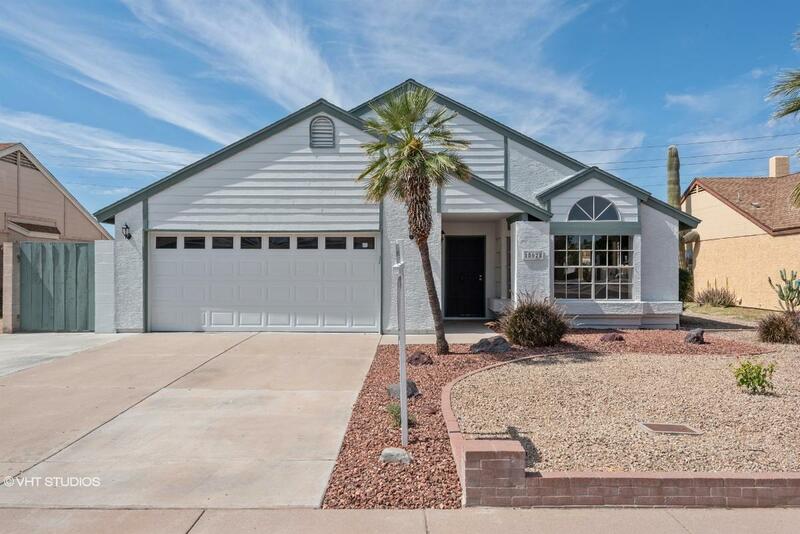 181032666947N SOLD Get Free Account to View Peoria AZ 2/9/2016 $353,222 View Details! 181733070402X SOLD Get Free Account to View Phoenix AZ 2/9/2016 $386,990 View Details! 181733070403N SOLD Get Free Account to View Queen Creek AZ 2/9/2016 $322,990 View Details! 18243670784N SOLD Get Free Account to View Buckeye AZ 2/9/2016 $251,990 View Details! 18454270834N SOLD Get Free Account to View Gilbert AZ 2/9/2016 $295,990 View Details! 18892465865N SOLD Get Free Account to View Mesa AZ 10/3/2012 $258,990 View Details! 18373271817X SOLD Get Free Account to View Phoenix AZ 2/9/2016 $429,735 View Details! 18892465863N SOLD Get Free Account to View Mesa AZ 10/2/2012 $295,000 View Details! 18892465864N SOLD Get Free Account to View Mesa AZ 10/2/2012 $239,990 View Details! 1960664806N SOLD Get Free Account to View Valley AZ 10/15/2012 $224,950 View Details! 18465765564N SOLD Get Free Account to View Gilbert AZ 12/4/2012 $398,990 View Details! 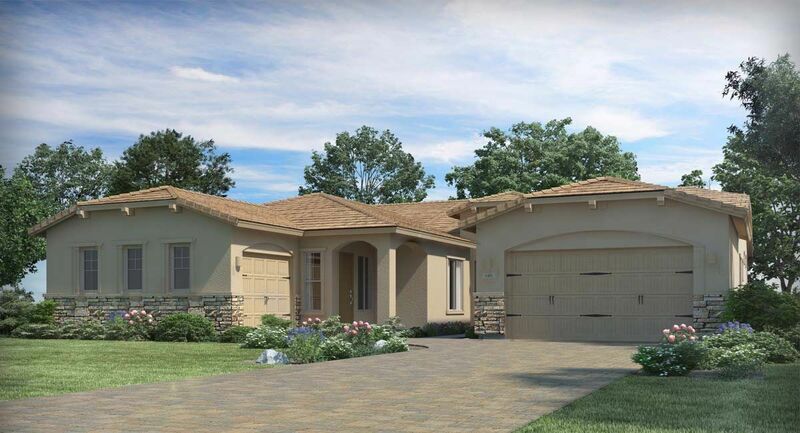 181051391366X SOLD Get Free Account to View Carefree AZ 2/9/2016 $689,995 View Details! 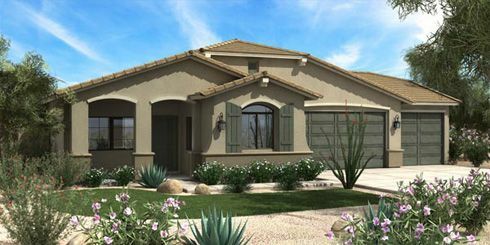 18243663630X SOLD Get Free Account to View Peoria AZ 8/23/2012 $694,696 View Details! 18493726450X SOLD Get Free Account to View Rock AZ 8/23/2012 $211,830 View Details! 181032669781X SOLD Get Free Account to View Queen Creek AZ 3/1/2016 $379,900 View Details! 1871171122N SOLD Get Free Account to View Queen Creek AZ 3/1/2016 $365,900 View Details! 18493771248N SOLD Get Free Account to View Mesa AZ 3/1/2016 $260,990 View Details! 18975371260N SOLD Get Free Account to View Surprise AZ 3/1/2016 $305,990 View Details! 181032671300X SOLD Get Free Account to View Surprise AZ 3/1/2016 $329,900 View Details! 181733071451N SOLD Get Free Account to View Cave Creek AZ 3/1/2016 $564,990 View Details! 181045775270N SOLD Get Free Account to View Litchfield Park AZ 1/10/2016 $367,900 View Details! 181045775273N SOLD Get Free Account to View Buckeye AZ 1/10/2016 $243,900 View Details! 18108275298N SOLD Get Free Account to View Gilbert AZ 1/10/2016 $1,346,940 View Details! 181733075628N SOLD Get Free Account to View Queen Creek AZ 1/10/2016 $539,990 View Details! 181733075629N SOLD Get Free Account to View Mesa AZ 1/10/2016 $238,990 View Details! 18243675838N SOLD Get Free Account to View Peoria AZ 1/10/2016 $242,990 View Details! 182375844N SOLD Get Free Account to View Buckeye AZ 1/10/2016 $462,990 View Details! CH1001159742EA90 Open for Bid Get Free Account to View Tucson AZ 4/27/2016 $570,000 View Details! 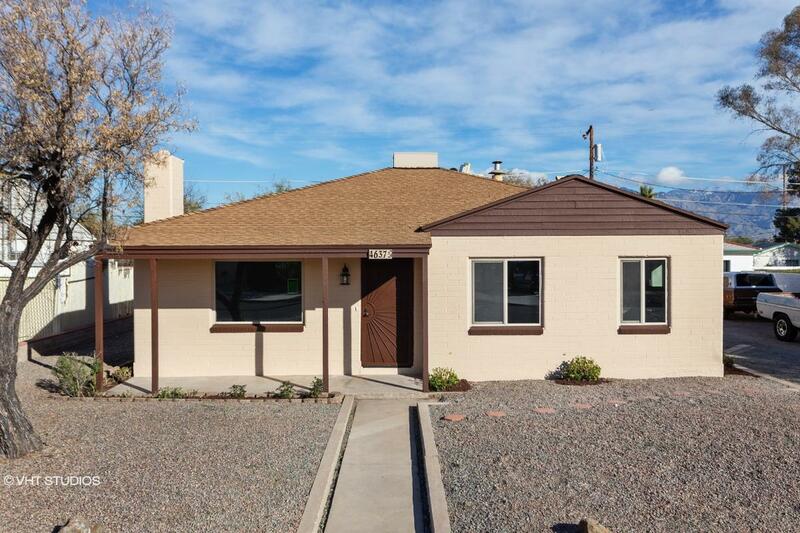 19493777668N SOLD Get Free Account to View Tucson AZ 1/10/2016 $238,990 View Details! 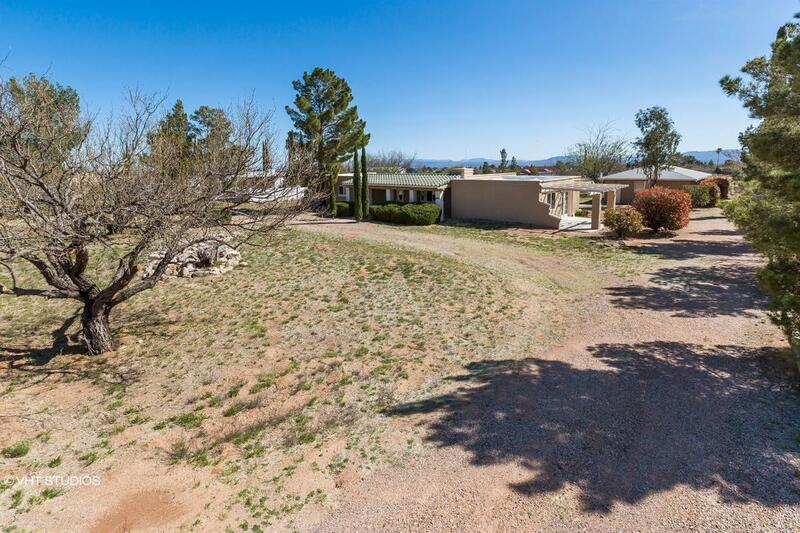 19445691724N SOLD Get Free Account to View Tucson AZ 1/10/2016 $259,900 View Details! 191106392855N SOLD Get Free Account to View Tucson AZ 1/10/2016 $424,900 View Details! 194071893600N SOLD Get Free Account to View Marana AZ 1/10/2016 $246,000 View Details! 191782671920X SOLD Get Free Account to View Oro Valley AZ 1/10/2016 $850,500 View Details! 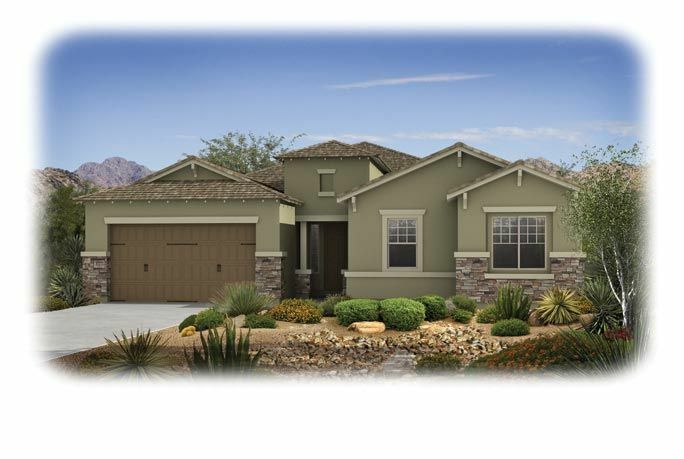 1960692323X SOLD Get Free Account to View Green Valley AZ 1/10/2016 $204,990 View Details! 18397812206X SOLD Get Free Account to View Phoenix AZ 1/10/2016 $696,000 View Details! 1874926343X SOLD Get Free Account to View Maricopa AZ 1/10/2016 $212,929 View Details! 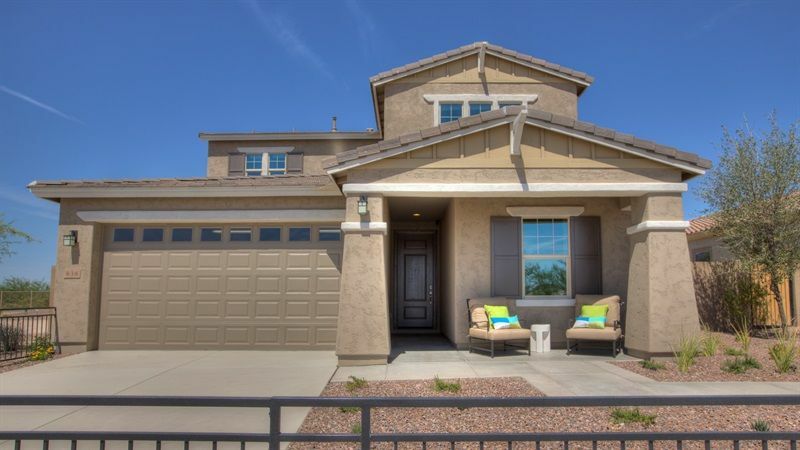 181190391489N SOLD Get Free Account to View Mesa AZ 1/14/2016 $233,321 View Details! 1871177773N SOLD Get Free Account to View Scottsdale AZ 2/2/2016 $476,900 View Details! 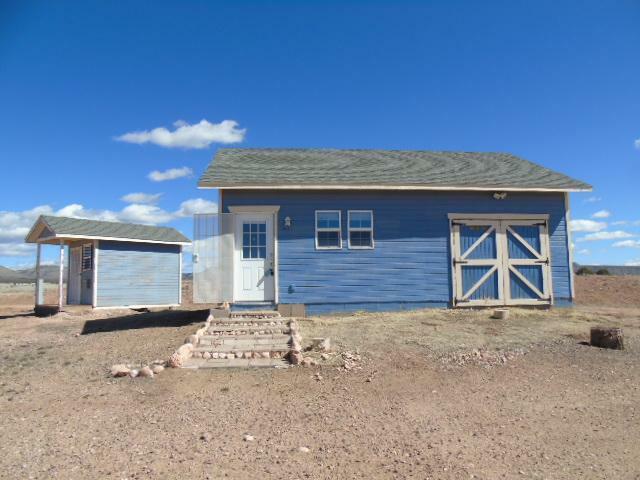 18480791968N SOLD Get Free Account to View Waddell AZ 1/14/2016 $414,990 View Details! 181051391999X SOLD Get Free Account to View Scottsdale AZ 1/14/2016 $1,599,995 View Details! 1871192096N SOLD Get Free Account to View Chandler AZ 1/14/2016 $250,400 View Details! 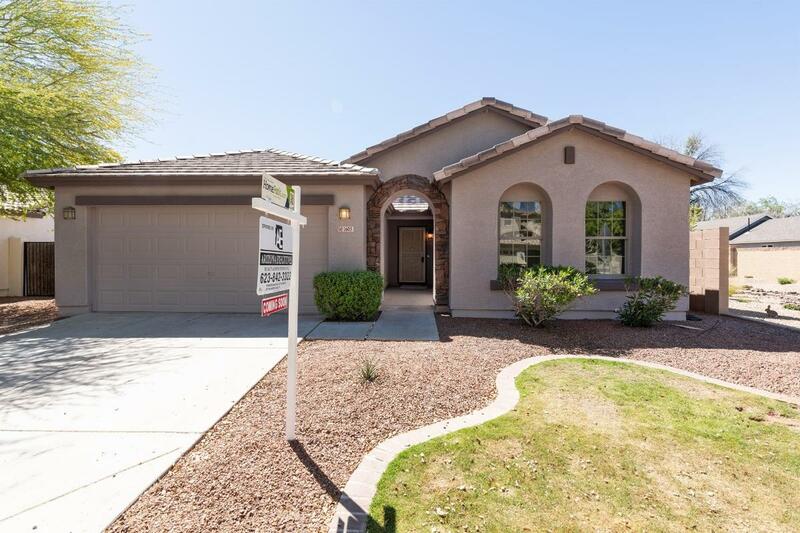 18243675839X SOLD Get Free Account to View Peoria AZ 2/2/2016 $293,990 View Details! 194546459N SOLD Get Free Account to View Vail AZ 1/14/2016 $178,990 View Details! 1960670404X SOLD Get Free Account to View Tucson AZ 1/14/2016 $209,990 View Details! 1975171686N SOLD Get Free Account to View Marana AZ 1/14/2016 $180,990 View Details! 1960673496X SOLD Get Free Account to View Vail AZ 1/14/2016 $281,666 View Details! 191051377642X SOLD Get Free Account to View Marana AZ 1/14/2016 $658,995 View Details! 18454252532N SOLD Get Free Account to View Gilbert AZ 8/23/2012 $293,990 View Details! 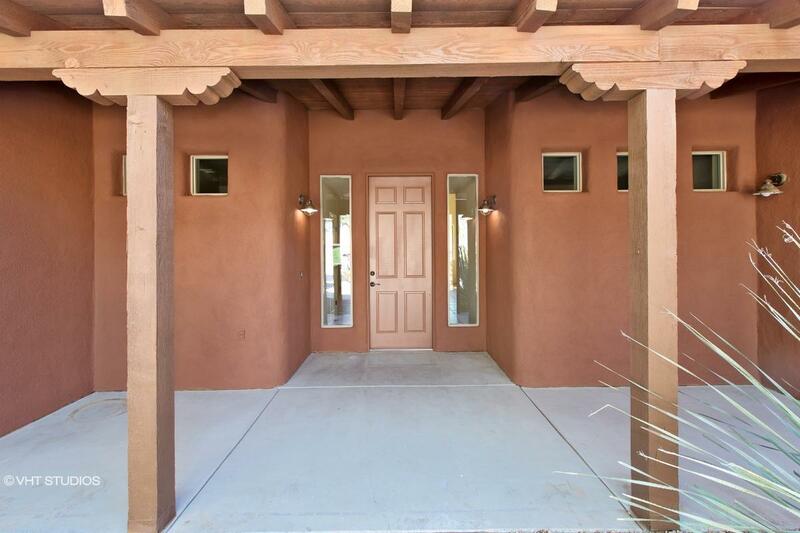 181051352656N SOLD Get Free Account to View Creek AZ 8/23/2012 $575,995 View Details! 181032675605X SOLD Get Free Account to View Chandler AZ 1/10/2016 $529,900 View Details! 30389544 SOLD Get Free Account to View SUN CITY AZ $157,900 View Details! 30389635 SOLD Get Free Account to View LAVEEN AZ $149,900 View Details! 30389680 SOLD Get Free Account to View SURPRISE AZ $157,900 View Details! 1960669396X SOLD Get Free Account to View Tucson AZ 1/10/2016 $238,990 View Details! 1960674565X SOLD Get Free Account to View Sahuarita AZ 1/10/2016 $361,990 View Details! CH229831894342DB Open for Bid Get Free Account to View Tucson AZ 1/15/2016 $56,710 View Details! 18927568533X SOLD Get Free Account to View Phoenix AZ 1/15/2016 $205,990 View Details! 1874975061N SOLD Get Free Account to View Chandler AZ 1/15/2016 $289,990 View Details! 18357775227N SOLD Get Free Account to View Phoenix AZ 1/15/2016 $324,990 View Details! 19465871217N SOLD Get Free Account to View Tucson AZ 1/29/2016 $319,900 View Details! 1960671453X SOLD Get Free Account to View Tucson AZ 1/29/2016 $213,950 View Details! 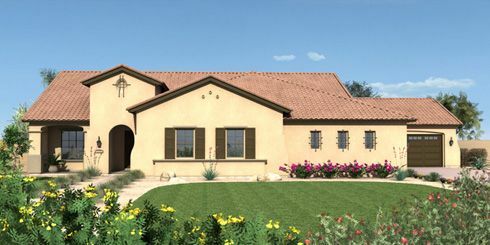 182363405X SOLD Get Free Account to View Peoria AZ 8/23/2012 $509,990 View Details! 1871150920N SOLD Get Free Account to View Buckeye AZ 8/23/2012 $190,280 View Details! 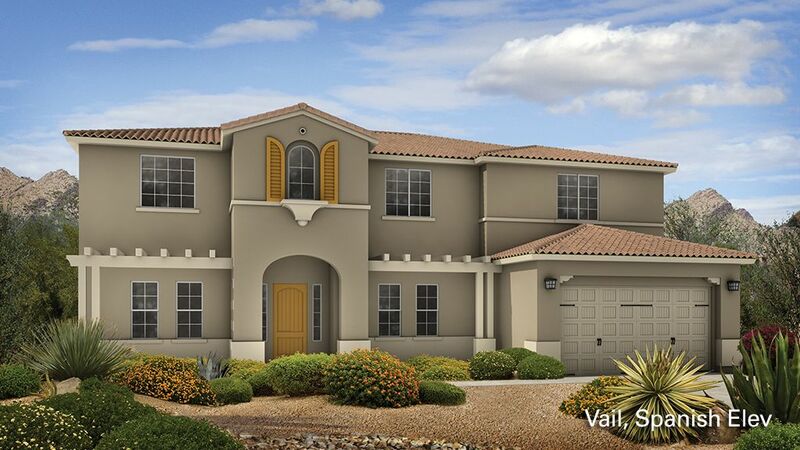 181733071505X SOLD Get Free Account to View Avondale AZ 3/1/2016 $319,995 View Details! 18493789972N SOLD Get Free Account to View Chandler AZ 2/21/2016 $382,990 View Details!